This month is very much a month for celebrating our TnT patterns – that’s Tried ‘n’ True, if you’ve never heard it before. 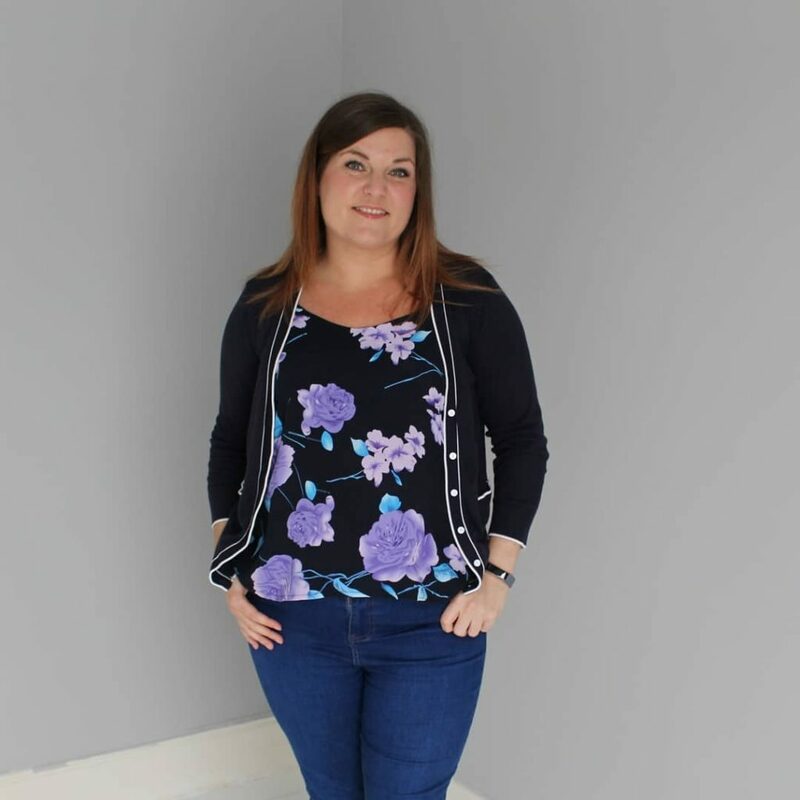 It’s the Sewcialist theme this month but the end of the month (25th November – 1st December) is also One Week, One Pattern – or OWOP if you will – hosted by the lovely Sheona from Sewisfaction. 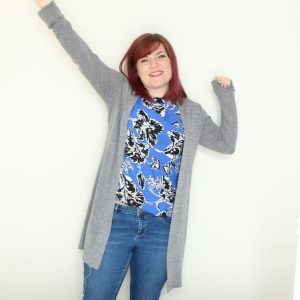 And as I don’t have any finished items to share due to lack of oomph to get photos I thought I’d break my blogging silence with a little post about my TnT patterns and plans. This is one of my favourite patterns and I’m a bit surprised that I’ve only made 3 dresses from it. 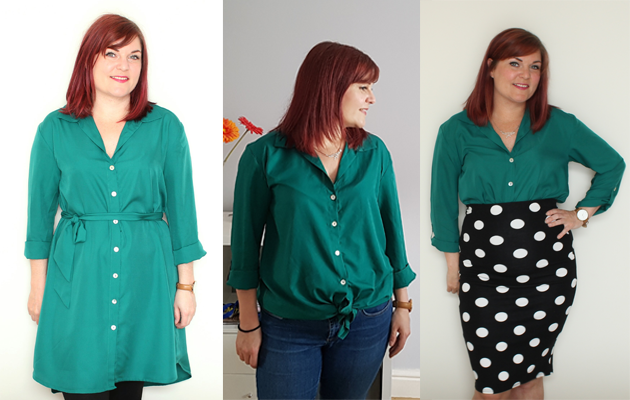 I’ve also hacked a t-shirt from it and used bits of it a few different hacks – with more planned (and talked about later on in this post). This is my most made pattern and it only came out this year! 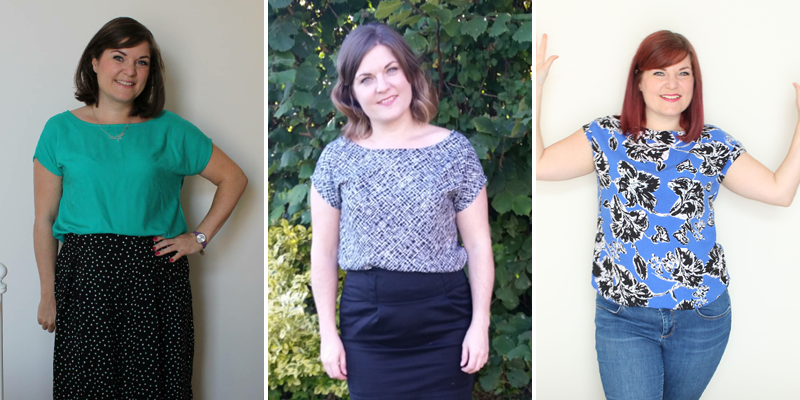 I’ve made 5 of them – one long, two hip length and two cropped ones. I need to have a bumper photoshoot and actually write a post about them! 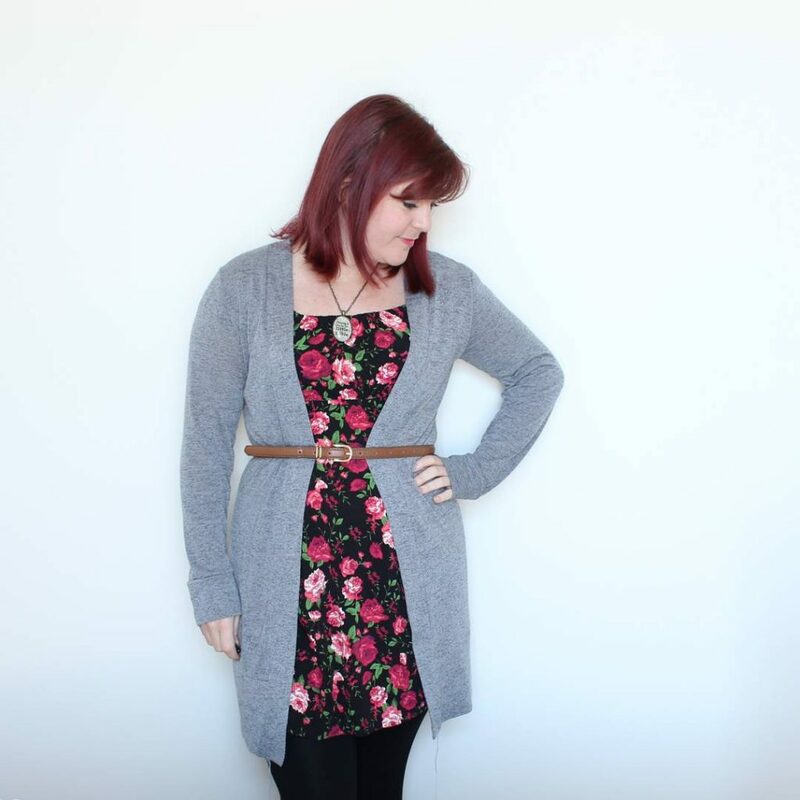 It’s my ideal cardigan and I want one in every colour. 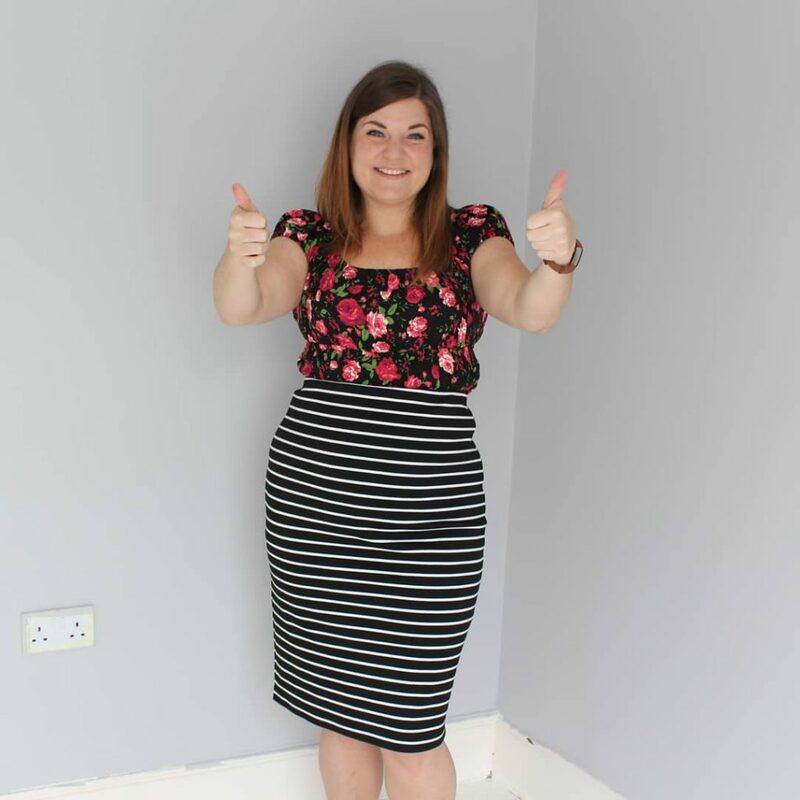 I’ve used the Southport dress loads. I’ve only made the dress as is once, but I’ve also made two simplified versions, a tank top and used the skirt with other tops to make pattern lovechildren. I wouldn’t say that I’ve got the fit down on the Scout yet but it’s one of my most made patterns so I thought it deserved a mention. I’ve made three standard versions and two hacked off-the-shoulder versions (only one of which I have a photo of). A Scoutport mashup with the Southport dress is probably on the cards at some point too. If only because I like the name. I love my New Look 6217s but I don’t think I’ve got the fit right yet. They’ve all seen better days so it’ll soon be time to revisit the pattern. 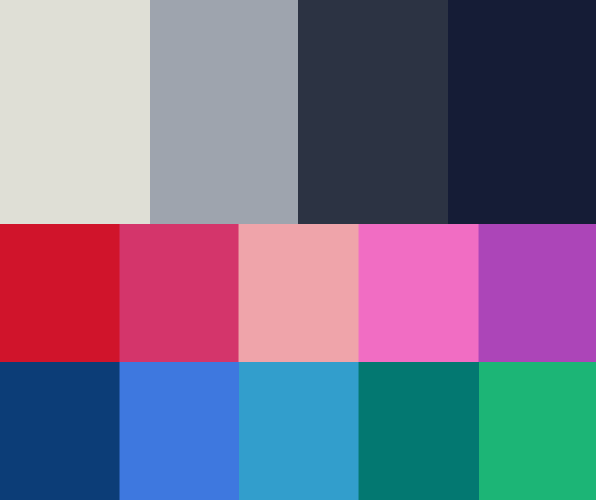 I actually recently made a video sort of related to TnT patterns. 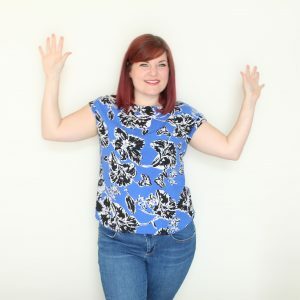 When the Love to Sew podcast ladies asked for questions for their Q&A episode @shar_bozz asked them if they could only make three patterns for a year what would they choose and how would they change them to make them unique, seasonal, etc. 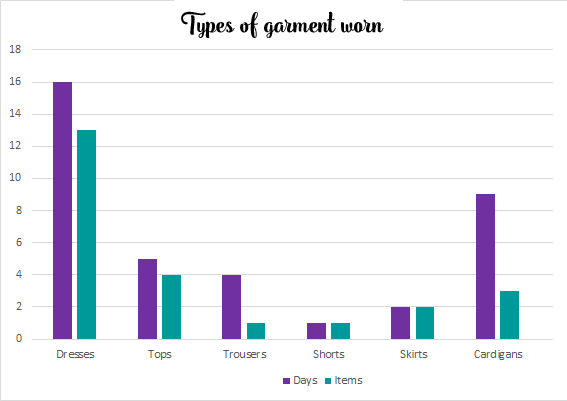 I thought it was a really interesting question and I put my thinking cap on to choose three patterns. This was the most obvious choice for me. I just really like the way it fits me across the shoulders, which is no mean feat as that’s my tricky spot. 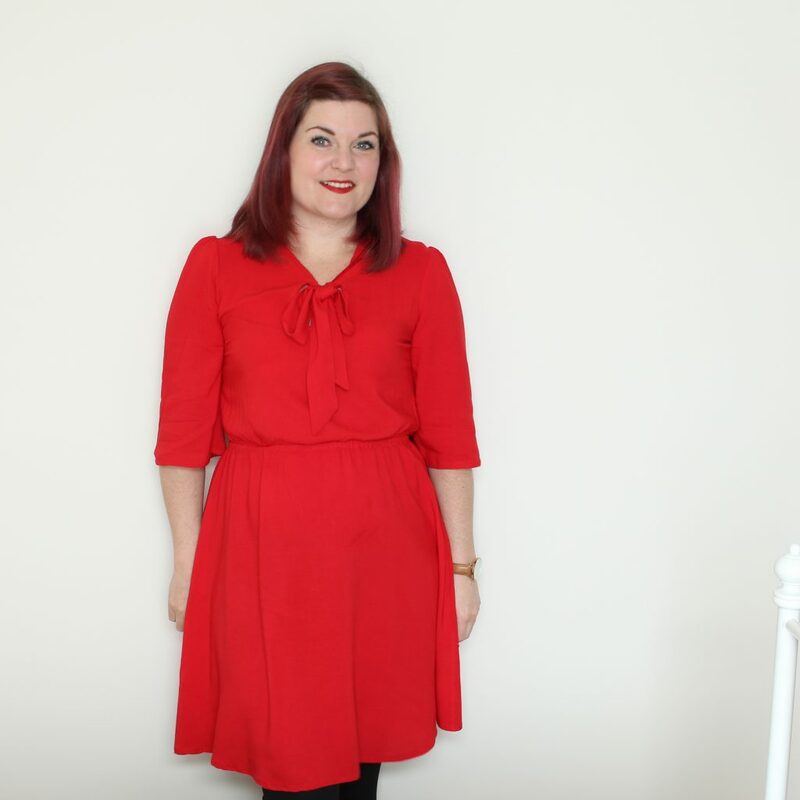 It’s such a simple dress it has the power to look entirely different with just a few tweaks. It’s basically a knit block/sloper. 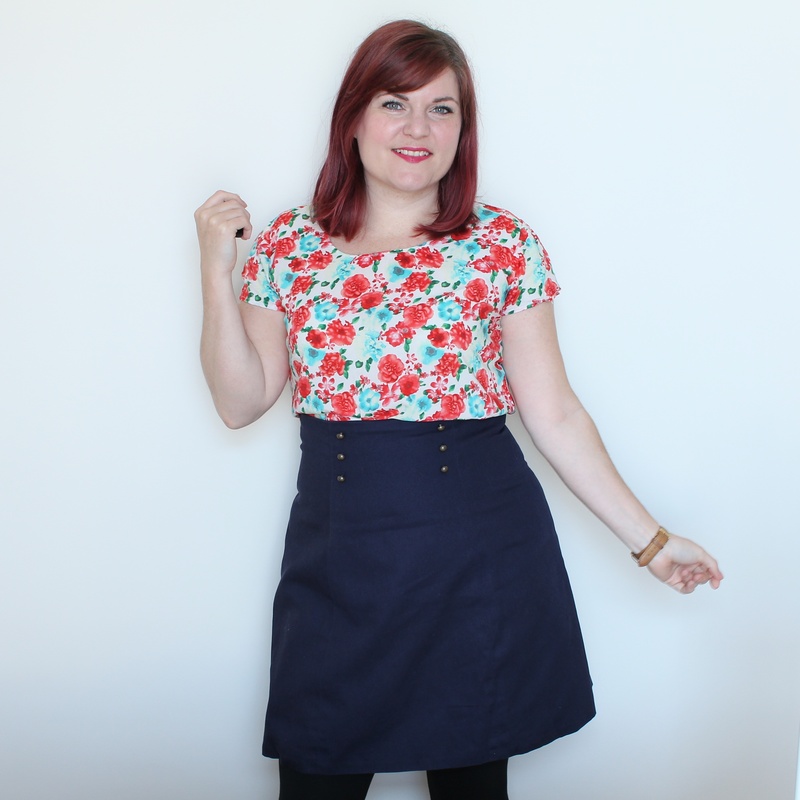 You can change the neckline, add a different skirt and even just changing the fabric will make it look different. 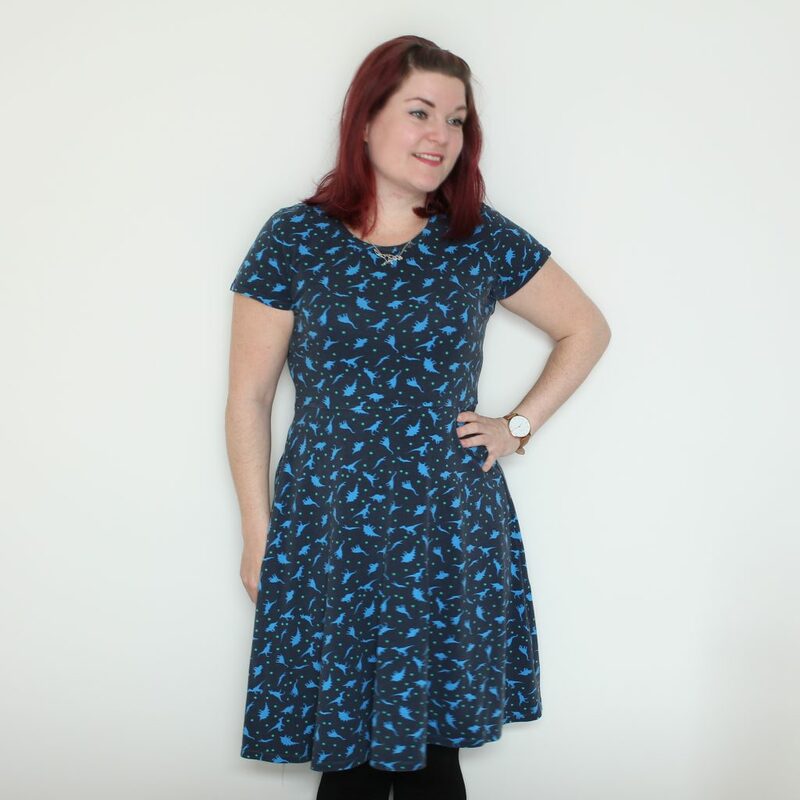 A scuba will give you a totally different dress to a drapey viscose jersey. The t-shirt I’ve made from it is one of the first things I reach for from the clean washing. and I’ve started work on some more garments using it. 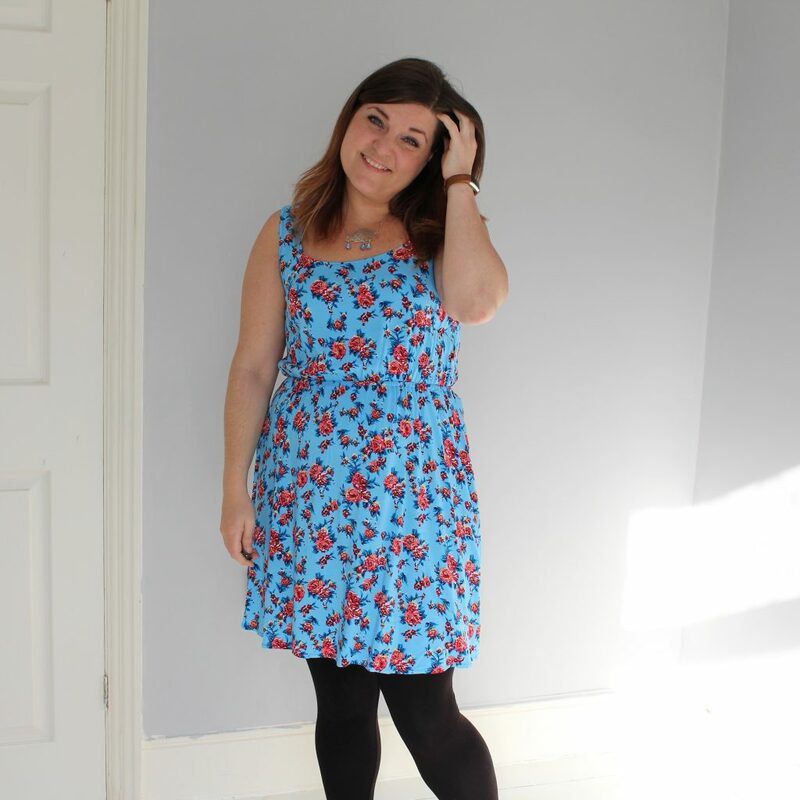 I’ve cut out a sort of swing dress and I’m hoping to make two of them if possible. I want to make a long sleeved t-shirt and a boat necked dress with a pleated skirt. Overambitious aims as always. I fancy trying to make a cardigan from it at some point too. 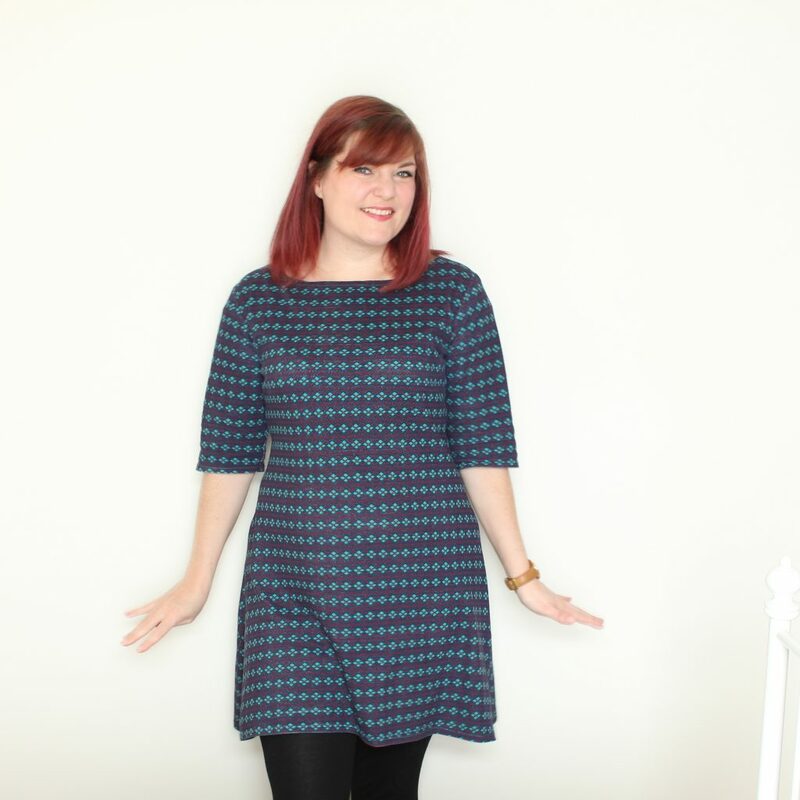 And it was on my Make Nine plans to make the Seamwork Neenah dress as a top but I’ve been thinking that I might just pinch the collar piece and neckline shape and hack the ballet dress instead as I know I like how it fits. I hadn’t actually made this one when I picked it, I just chose it based on its versatility and hackability. I have made one now – out of flame print quilting cotton. There’s some fitting work to do before it becomes a TnT pattern for me but I’m fairly pleased with it. I had to add a dart from the armhole to the bust after it was sewn up but it’s quite well hidden in the busy print. Even without any hacking you can make lots of different variations. 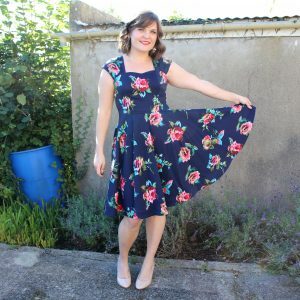 I made a sleeveless dress but want to make some sleeved tops. I quite like the idea of adding some shirring to the waist of a viscose version too. 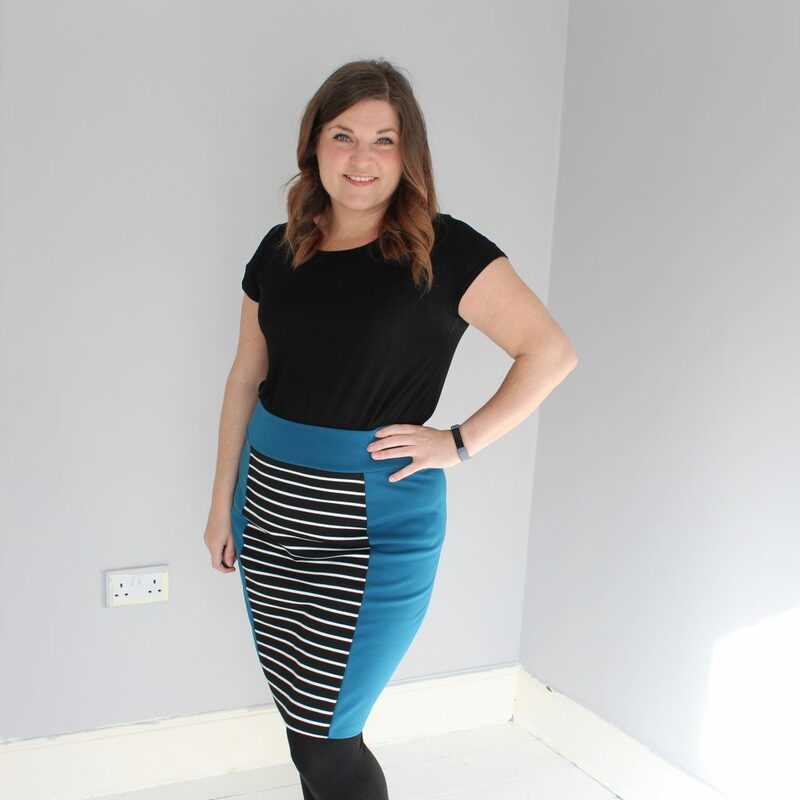 Lisa Comfort’s pregnancy hack where she added a seam, pleat and tie is lovely too. I’ve thought about giving that a go myself, even though I’m not pregnant. You get the tutorial of how to make it included with the pattern now and I think that you can email them to ask for it if you already have the pattern. 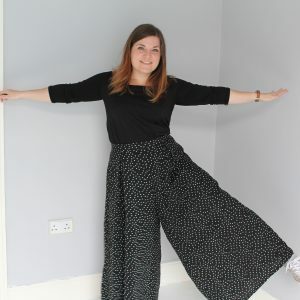 I want to make a slightly more flared version, a bit like the Grainline Farrow dress, and I have thought about copying the pockets from the Farrow dress too. I did think that you could add a seam at the waist for an elastic channel and then slash and spread just the skirt part too. 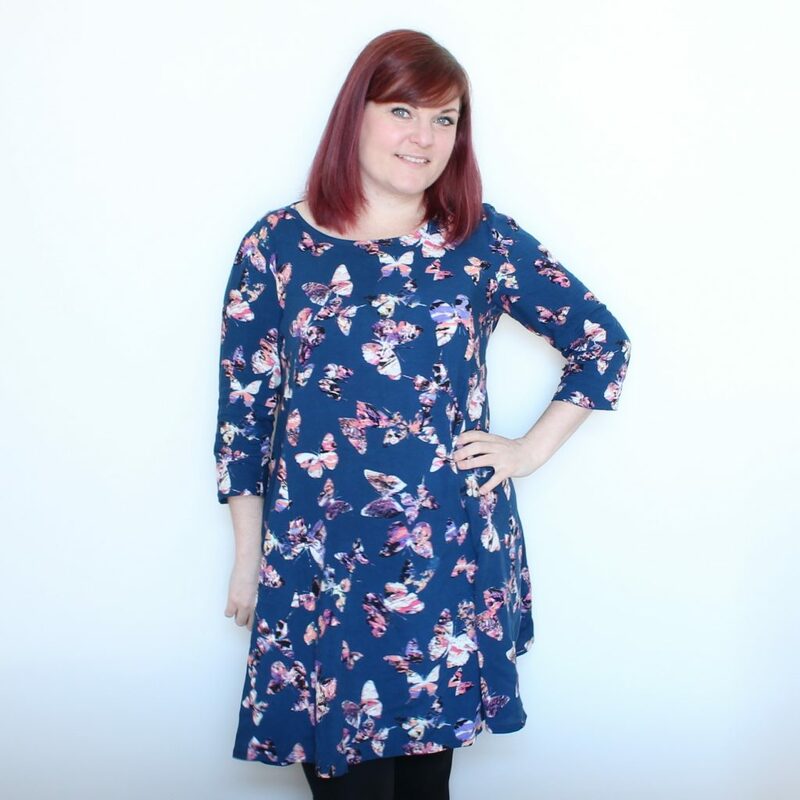 If you’re a flounce fan it’s a great pattern to jazz up with a flounce or a frill. One of my friends has a really nice collarless coat that I think would be totally copiable using the shift dress as a base. It would just need to be sized up, seam allowance (the inspiration coat has an exposed zip) or overlap (for buttons) added to the centre front. The back also has a pleat that’s sewn down for a few inches so I’d cut it on the fold with a couple of inches added to the centre back. 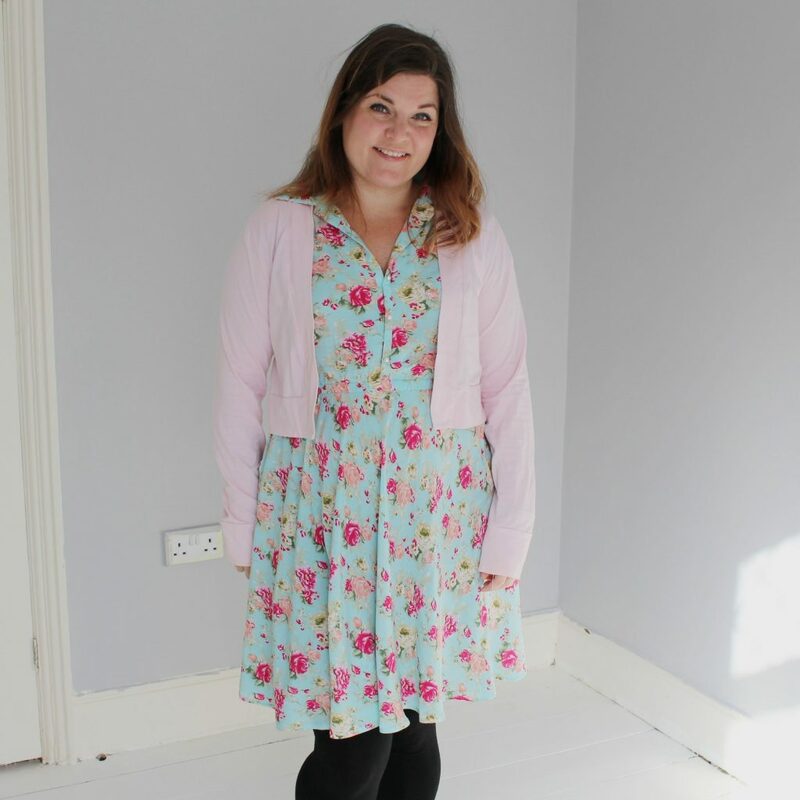 You could also use it to make a 60s style coat if you did buttons, added a peter pan collar and made it a bit more swingy – by rotating the dart out maybe. The Simplicity ones are probably the most promising because they have different pieces for different body types but I keep putting off tracing the pattern as I hate doing it so much. I would far rather tape a PDF sewing pattern together so I might go for one of the other patterns first. There’s not much pattern hackery that I could think of for skinny jeans but jeans are something I’d struggle to live without. And they can look completely different in different fabrics. I did think that you could alter the pockets and give them more of a chino styling in a stretch twill. Once you’ve got the fit right in the hip/bum area I’m sure you could fiddle with the leg shape too for different looks. Turning them into flares by slashing and spreading the pattern at the knee is a nice easy one. So there you have it. Those are my TnT patterns and patterns that I’d like to become TnT patterns. 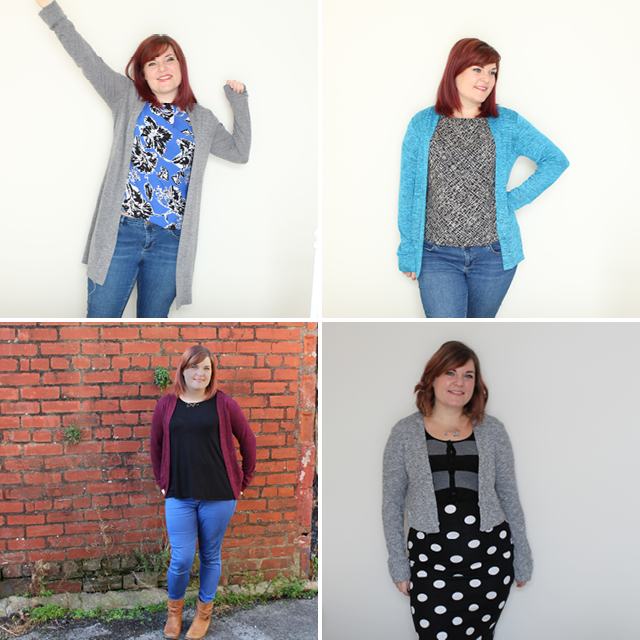 I’ll be back later on in the month to show you my Blackwood cardi collection after I’ve taken photos and I’ll report back on how OWOP goes. You can follow along on Instagram too. 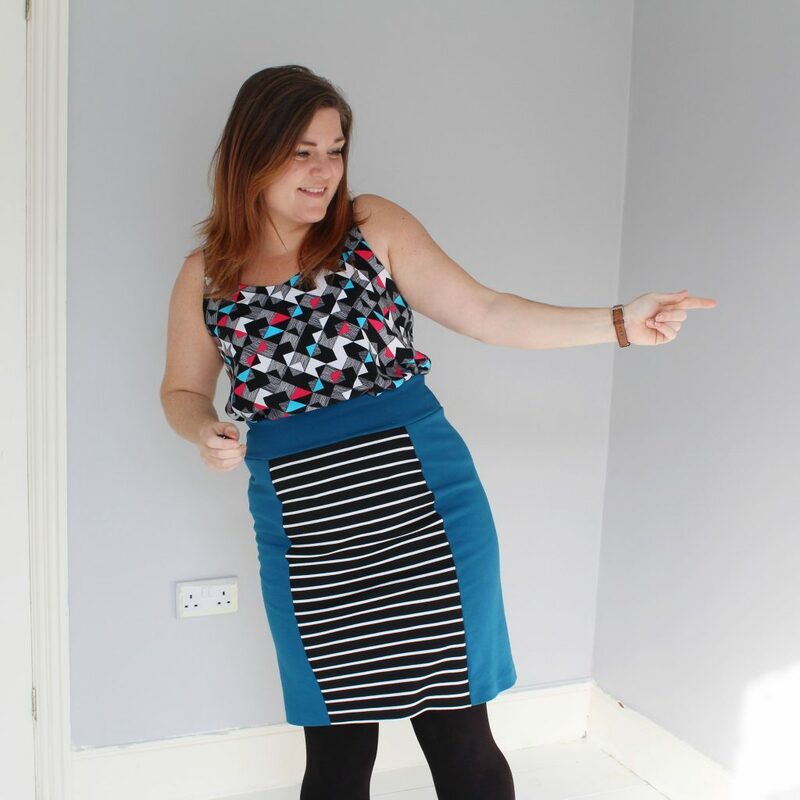 Are you planning to join in with #sewcialiststnt or #OWOP? 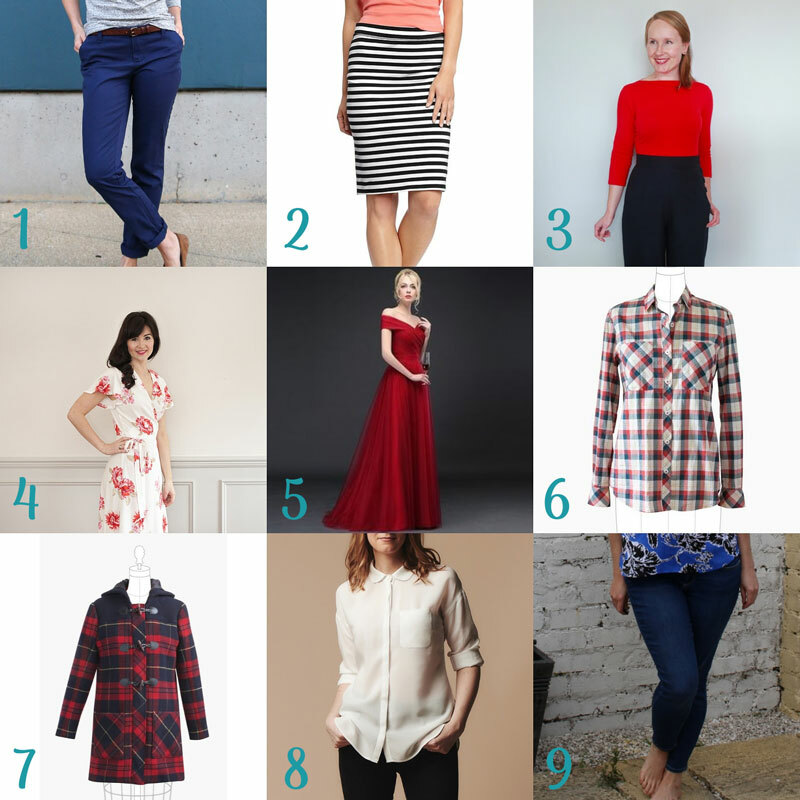 Are you a TnT pattern kinda person or more of a pattern butterfly? So that’s it. It’s over. We’re done. 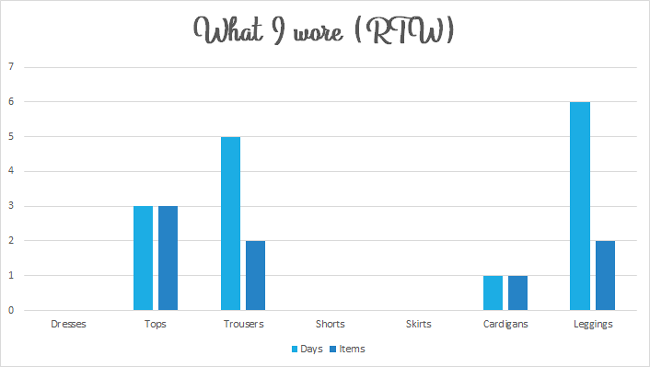 This is just going to be another round-up of the things I wore for the rest of the month and then I’ll do a separate post with my thoughts and things I’ve learned – I may even put a graph or two in. 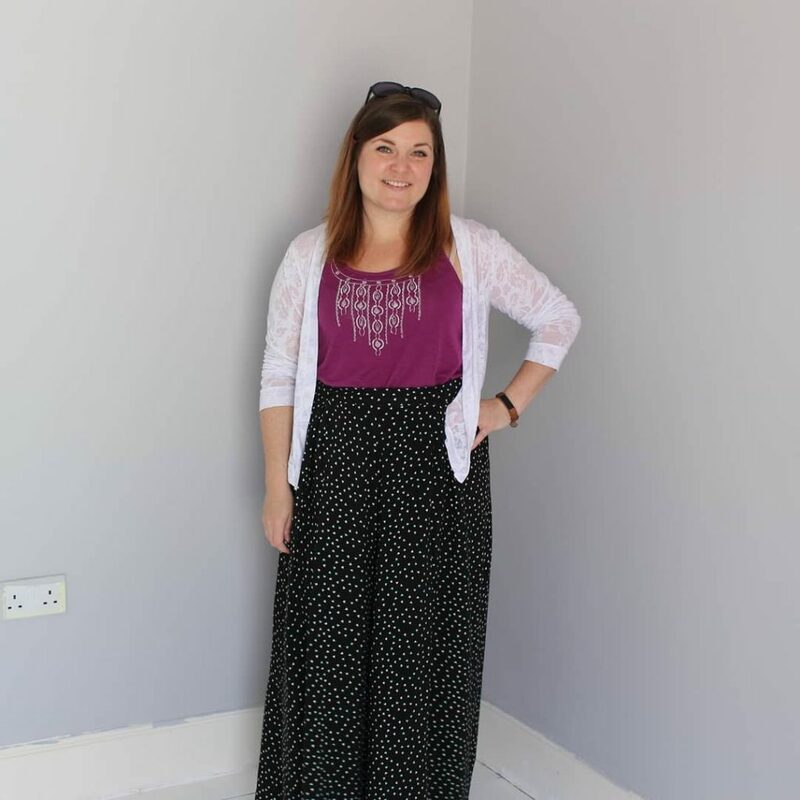 Anyway, let’s crack on as this is going to be a slightly longer post because I went on holiday at the end of the month so a few days have multiple outfits. The beautiful sunshine had disappeared, replaced by horrid, heavy rain so I thought went for sleeves today. We also had a man coming to the office to give a bit of training so I thought I’d make an effort to look presentable. I should probably make some more smart but comfortable dresses like this. And my first repeat (not including cardigans). I was quite impressed with myself to make it to day 18 before I had to repeat things. I dug my Anemone out of the depths of the wardrobe to be able to style my Scout differently. No me made today as I had the day off to prep for my holiday – wax my legs, pack, finish sewing things to wear. As always I had overambitious plans for things to make but I did manage to make 2 dresses, 2 tops and a cardigan/cover-up so that’s something. In total that is, not all in that one day! We flew to Cyprus from Gatwick so we travelled up today and stayed in a hotel near the airport. I was struggling to find anything to wear and then I remembered that I’d seen people on Instagram tying shirt dresses to make them double as a top. So I gave it a go with my Alex and I was really pleased with how it looked. We left our hotel at 3:30am so I wasn’t really feeling a photo and as the majority of my outfit was RTW it didn’t seem worth it. I wanted to be comfortable when travelling so I wore a RTW black and white striped tent/sway dress I have that I really like. I want to make one myself but I’ve been torn over whether to buy a pattern (and if so, which one*) or to hack a t-shirt pattern. 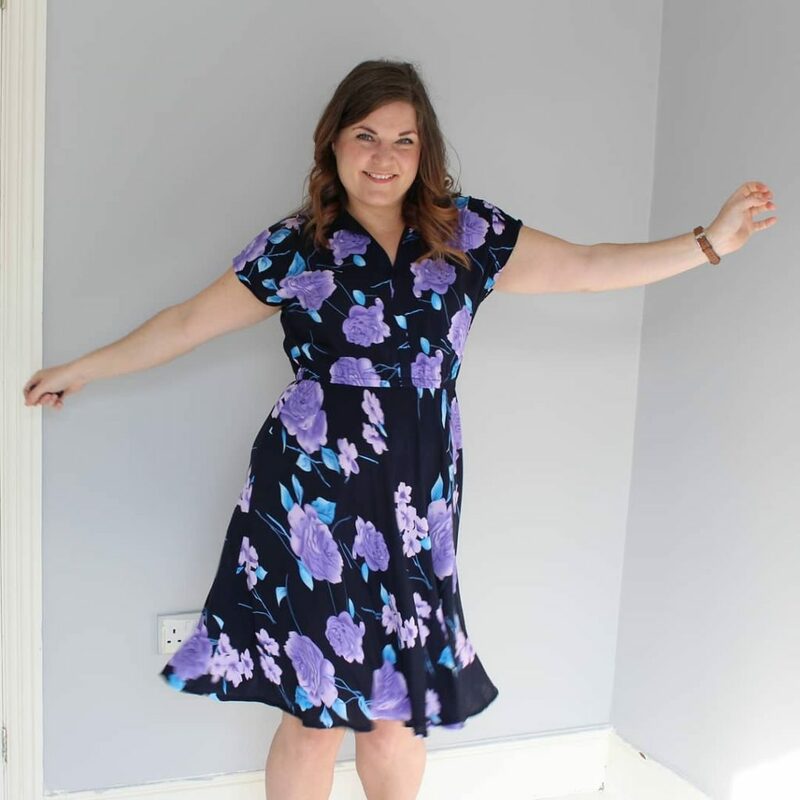 *Closet Case Ebony, Made It Groove dress and Tessuti Frankie are my front runners but there are so many different patterns it’s hard to choose. I suppose this is technically my first fail as I left the house/villa and no part of it was Me Made but as it was one of three outfits this day and the other two had me made components I’m not going to beat myself up about it. 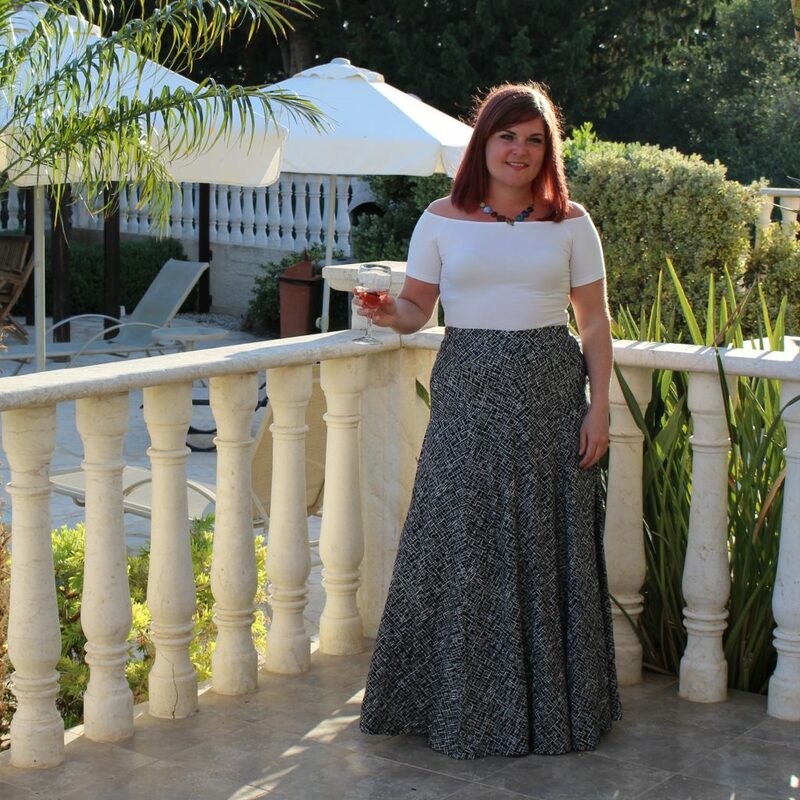 First night dinner outfit was my Southport dress and first night dinner was sheftalia. I love sheftalia. I don’t have a good photo of this outfit as it was really windy when I tried to take some and they all looked awful. This is a photo I took while I was on a lounger reading despite the wind and occasional spots of rain. I am so very British. Aled thought I was out there hiding from my mum and nan but I just genuinely didn’t want to waste any outside time. I’ll happily sit in a beer garden in my coat if there’s even a little bit of brightness masquerading as warmth. I seem to like to wear an off the shoulder top with my Winslows. I really like this H&M top, the shoulder is exactly where I want it and it doesn’t ride up. In other off the shoulder tops I’ve bought and made, the shoulder likes to pop up and I keep having to pull them back down. Dinner tonight was prawn saganaki, which was blummin’ lovely and I just realised I should have bought a small bottle of ouzo to try to make it at home. No photos today. 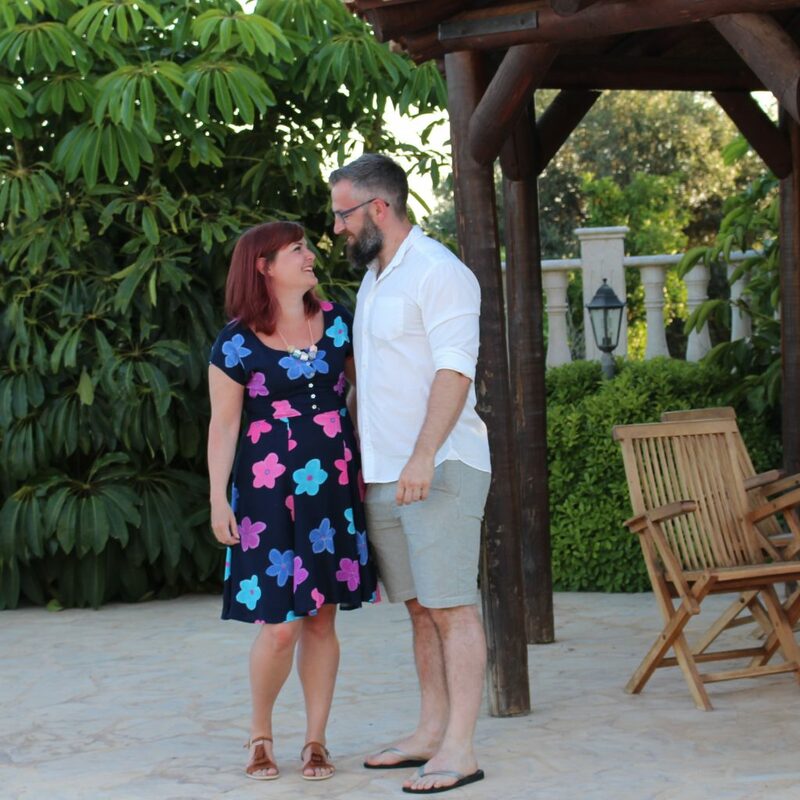 We didn’t go out in the day and stayed in the villa for a barbecue for dinner too. I wore my Winslow culottes again and the black and grey striped tank top from the other day but I didn’t look presentable enough to bother taking a photo. 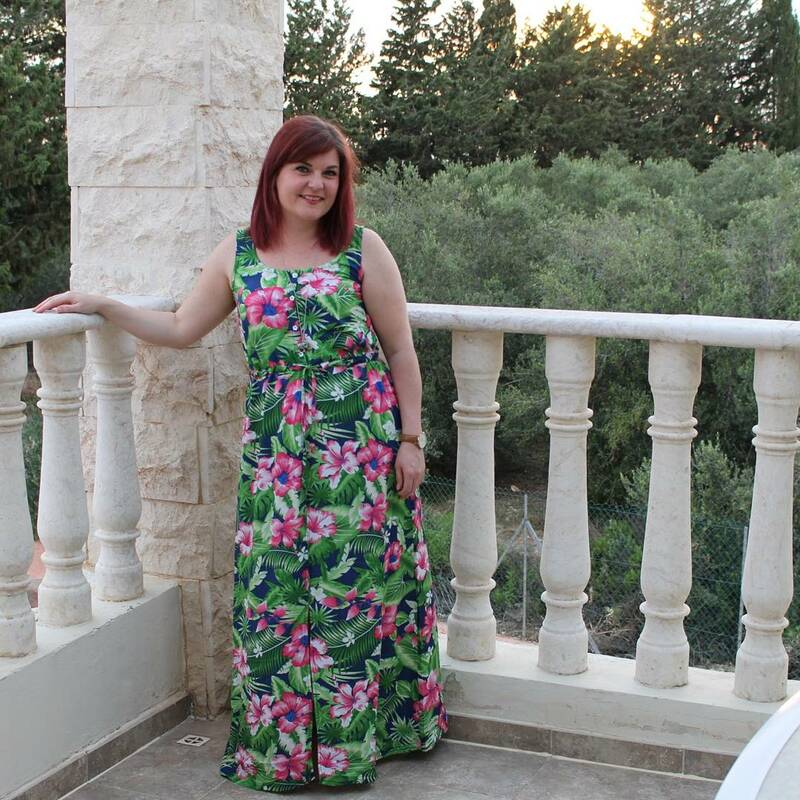 I’m an army brat and we lived in Cyprus for two years when I was a child, which is one of the reasons I’ve been on holiday there so much – it’s a really lovely place, the people are so warm and friendly, it’s beautiful and the food is fabulous. One of the men that worked with my dad when we lived there also owned a restaurant (Andy’s Place) and we used to go there for a meze quite often. I’ve gone off on a bit of a tangent, all to say I facking love a Greek-Cypriot meze. The one we had was lovely but because it’s in quite a touristy place the service is quick so the last few dishes are a struggle as you’re already quite full, whereas if you’re somewhere a bit more traditional it’ll take hours. Me and the Manfriend popped into Coral Bay for lunch and some shopping so I just popped my new pineapple Grainline Scout and RTW denim shorts on over my bikini. I had a lovely tuna salad for lunch and jumped in the pool as soon as we got back to the villa. We had another barbecue in the evening to use up our charcoal and the rest of the food we bought so I just put on my Winslows yet again and a purple tank top. Obnoxious couple photo alert! I don’t wear this dress enough. I think I saw it as evening wear but I’ve decided I like it too much for it to be worn so infrequently and I should start wearing it to work. We went into Paphos this night and had Chinese food, which feels a very wrong when there’s so much lovely Greek food to eat but it’s a really nice Chinese restaurant. The last night, sob! This is another thing that fits a bit better now I’ve gained some weight. 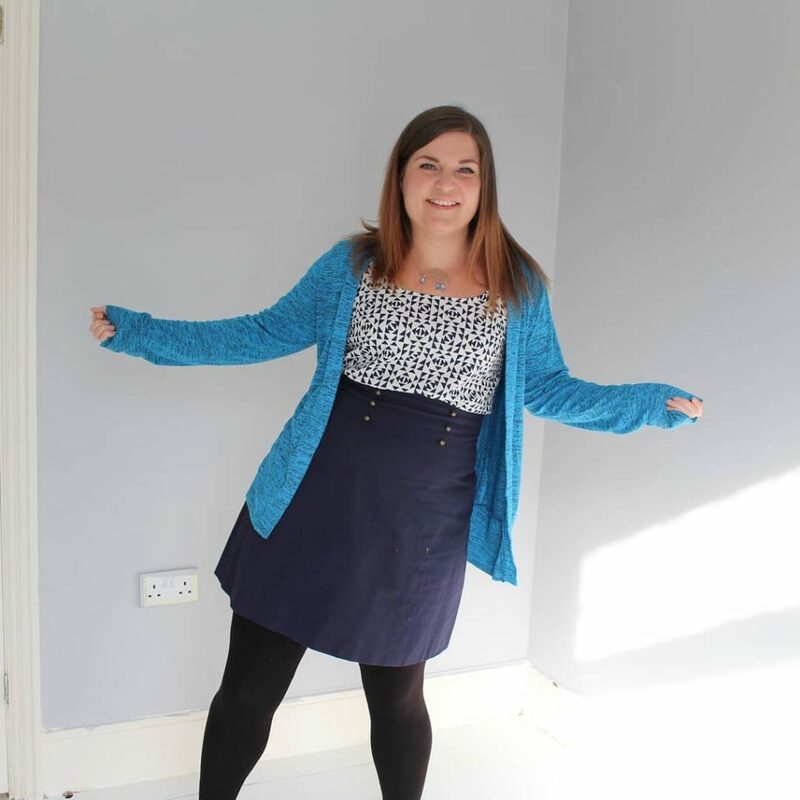 My Gabriola sits on my natural waist now, which makes it a better length to wear with flats. Tonight I had spicy calamari, which was very nice, and a huuuge slab of baklava for dessert. Travel home day. And it’s my other Southport ish dress. I had leggings and a blackwood cardigan in my hand luggage for if I got cold on the plane or when we landed. This was a mammoth day of travelling. My mum stayed at my nan’s an extra night and came home on the Monday but me and Aled drove home on the Sunday night to get a lie in and recuperation day on the Monday. I was so tired and spaced out by the time we got home that I nearly passed out. Luckily I wasn’t the one driving! The aforementioned recuperation day meant I didn’t get dressed at all. I barely moved from the sofa in fact. It was lovely. First day back in work, booo! It’s warm but overcast here at the moment so I didn’t really know what to wear. I grabbed this as it was clean and felt summery but okay if it got chilly. It’s my only outfit repeat so I kind of wish I’d found something else. But just one outfit repeat is way better than I’d expected. 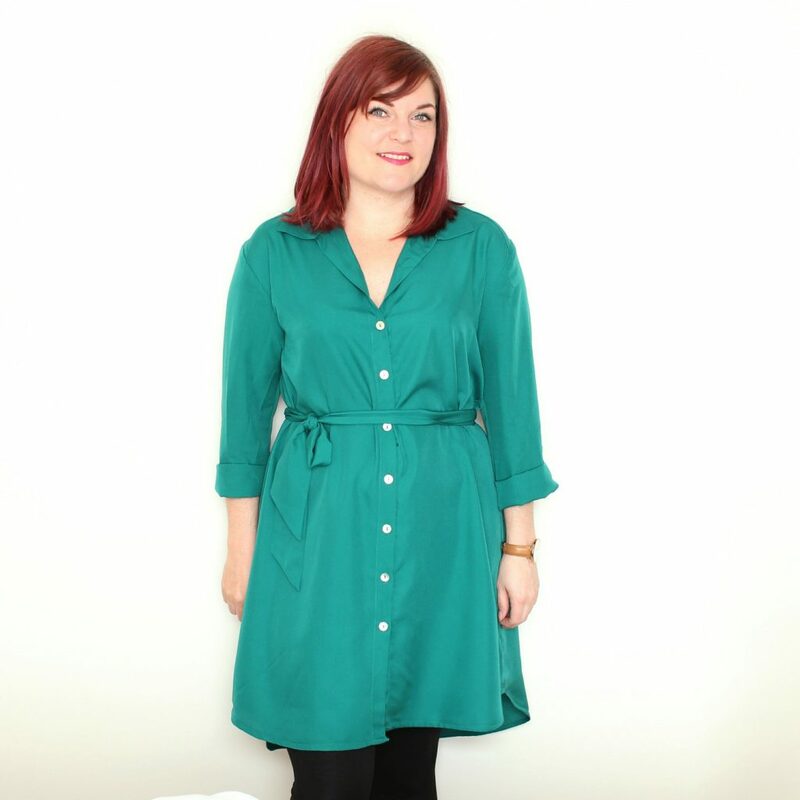 My Alex shirt dress has got to be one of my most versatile garments. I really like it all three ways I’ve worn it this month. 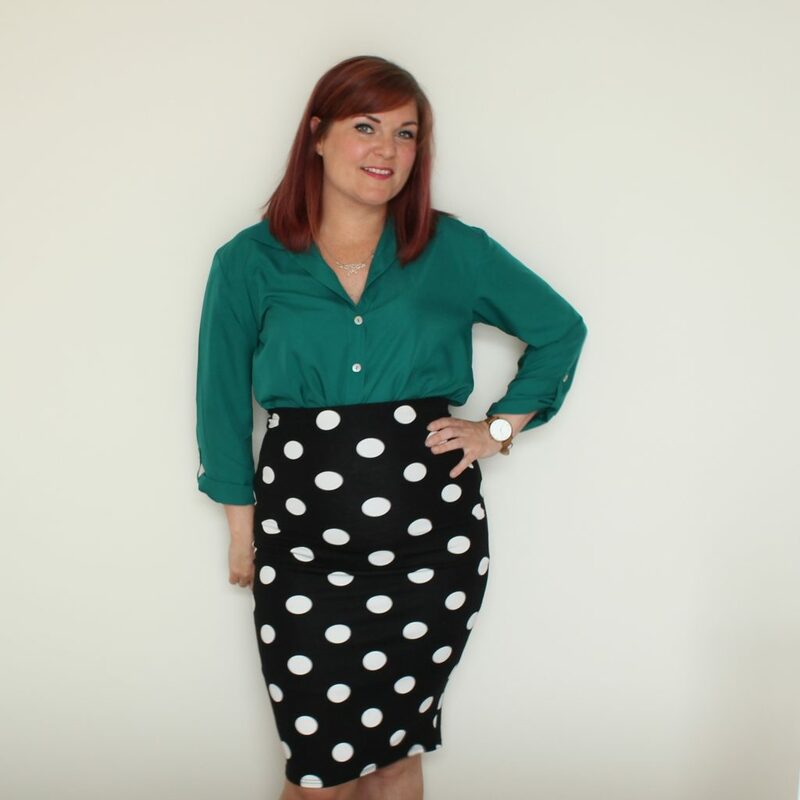 This is a little bit smarter than I normally dress for work but I love this outfit so I think I need to start dressing a bit smarter. The skirt is knit so it’s still comfy but looks a bit more pulled together. I think I need to try to make a pattern from it. And I definitely need more Alex shirts and shirt dresses. And that’s it. 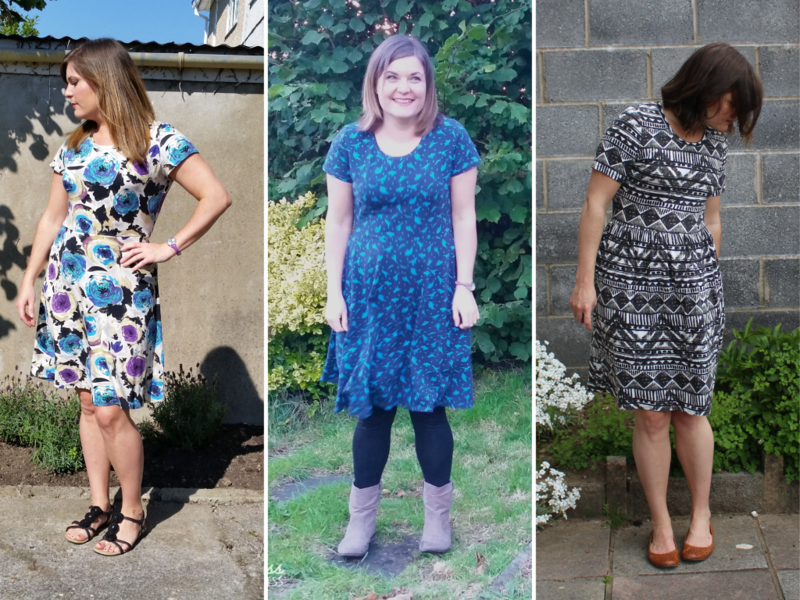 I’m going to miss seeing everyone’s outfits every day, I’ve been massively inspired and have a huge wishlist of new patterns. It’ll be nice not having to do a little photoshoot tomorrow morning though. How was everyone else’s Me Made May? Did you learn things? Are you glad it’s over? So we’re two weeks in to Me Made May now, nearly half way through. How is everyone doing? Are you sick of the photos yet? So far I’ve added about a 32,000 patterns to my wishlist and 63,000 projects to my mental To Be Sewn list. Too much inspiration on Instagram! 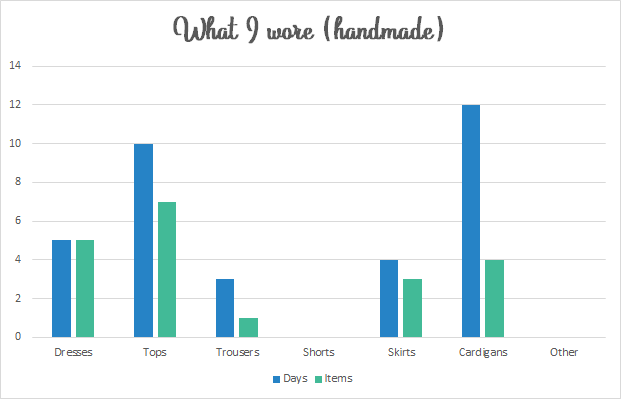 Anyway I’m going to do a quick run down of the things I’ve worn and some of the things I’ve learned over the first two weeks of my first “proper” Me Made May. I was just bimbling about the house and sewing so I didn’t get dressed. Living my best life. I wanted to start my Me Made May with a goodie and I really like this dress. It needs a bit of fitting work before I make it again but I definitely plan to make some more Nancy dresses. I’ve got some grey viscose with roses on that I’m planning to use but I’ll probably wait until the autumn now. 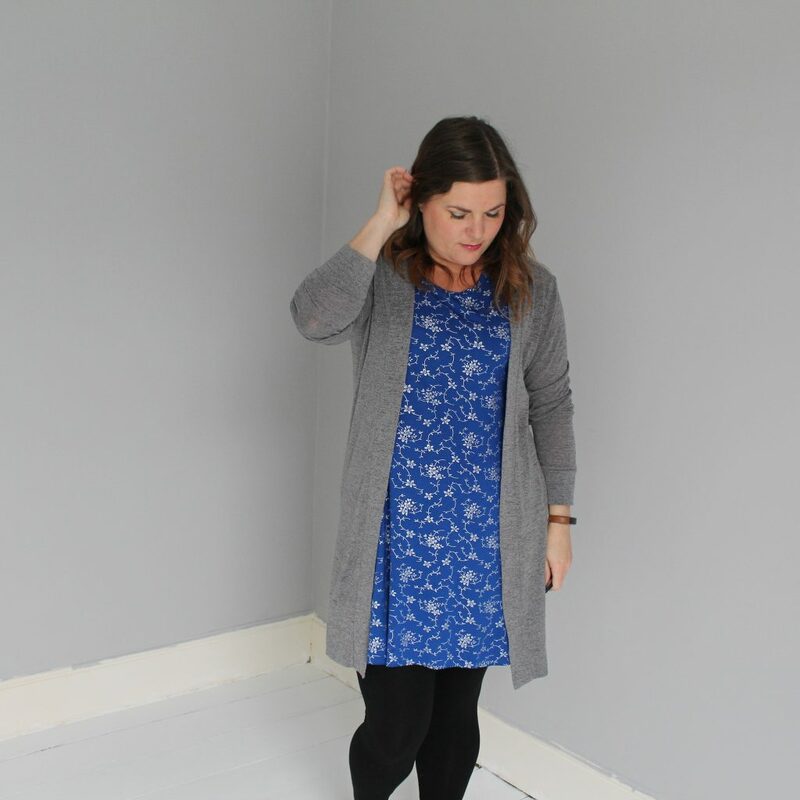 You’ll be seeing a lot of this Blackwood cardigan. I absolutely love this pattern. I’ve bought fabric to make two more and I don’t think I’ll stop there. In the spirit of trying to experiment more with style I put my belt on over the top of my cardigan, which is something I’ve seen other people do and I really like it. It pulls the outfit together. So I want more skinny belts. 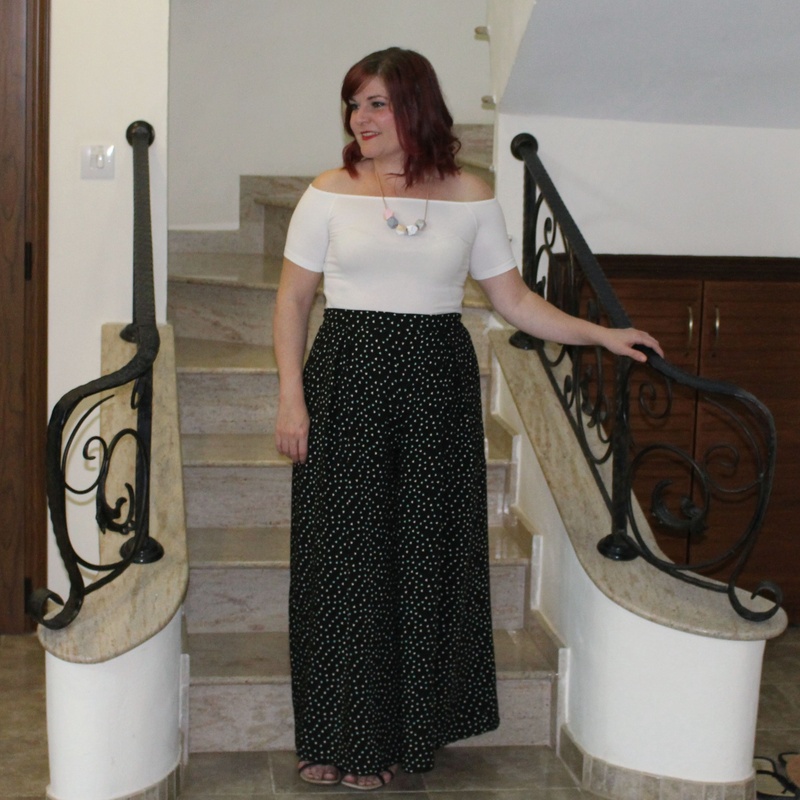 I love these palazzo pants but I always wear the the same top with them – the off the shoulder Scout in my post about them. So I wanted to try to mix things up a bit. 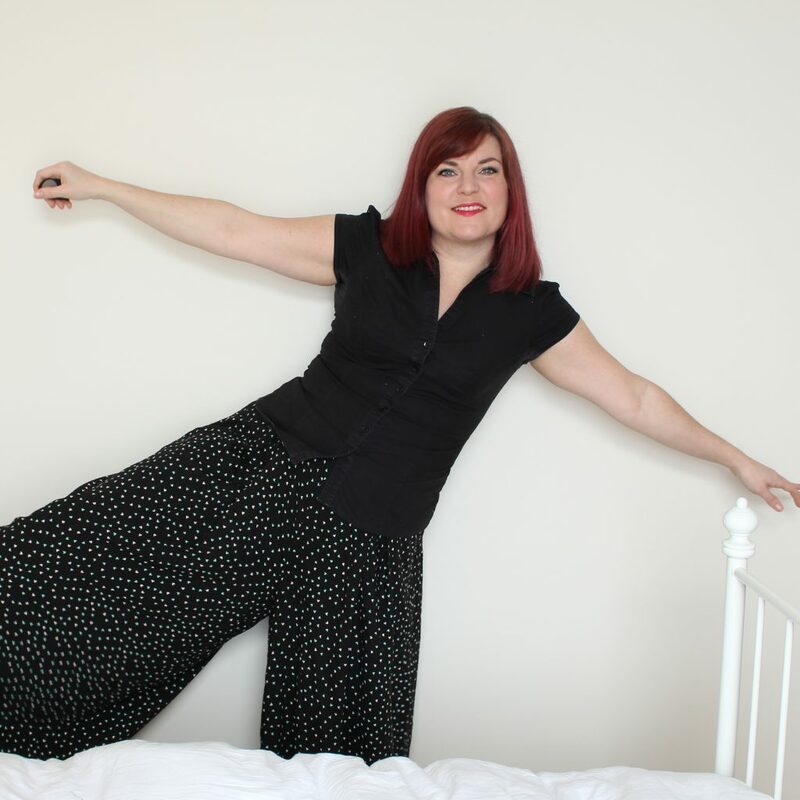 I prowled Pinterest for ages to see what people wear with culottes and palazzo pants and I didn’t have any of the things so I pulled this black shirt from the depths of my wardrobe instead. I experimented with tying the ends and I quite liked it but wasn’t brave enough to wear it outside as it flashed a bit of my tummy but I might give it a go before the month is out. Friday! We’re only allowed to wear jeans on a Friday at work, which is a silly rule because we don’t have a smart dress code the rest of the time. Some people look smarter in their jeans than they do in the stuff they wear the rest of the week. A former colleague used to wear combats and trainers Mon-Thurs and really nice jeans on a Friday, almost to prove a point. Anyway, I digress. 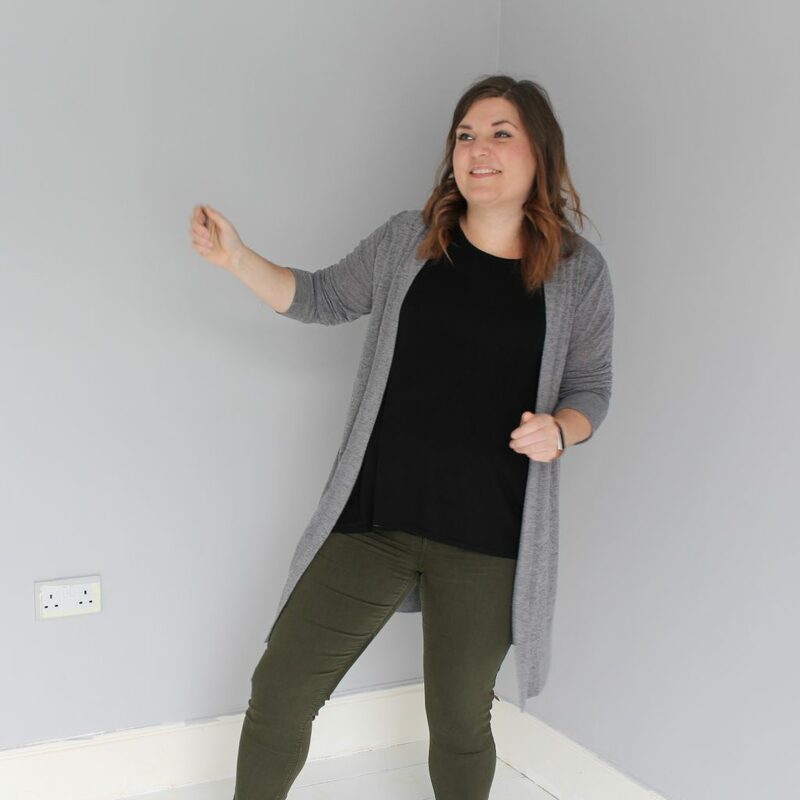 These RTW jeans very much need replacing – I need to get on with that Twenty SevenJean goal! 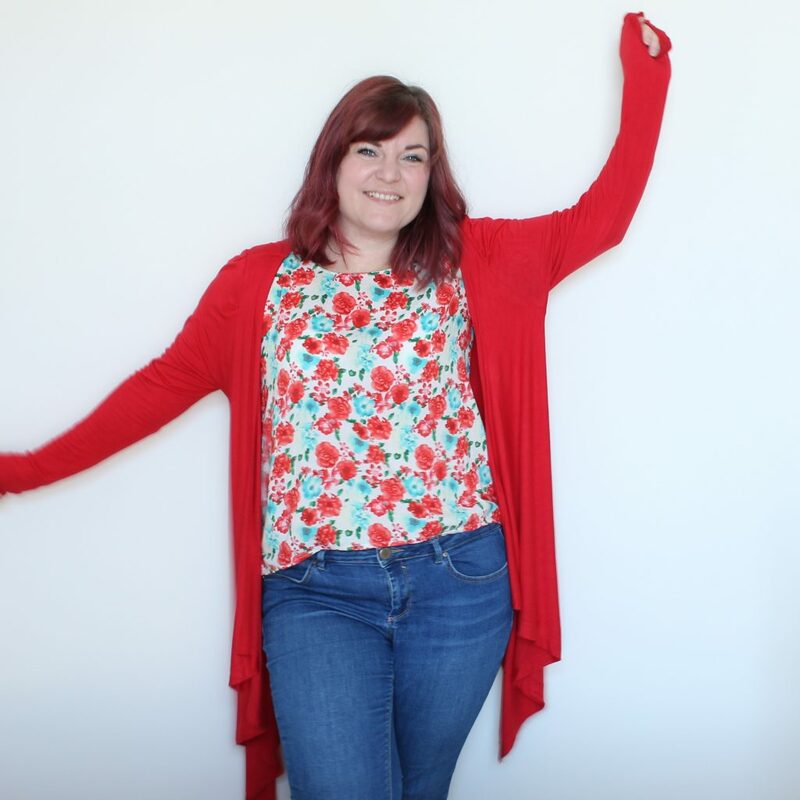 The red cardi has definitely seen better days too so I’ve put colourful cardigans on my list of things to make. 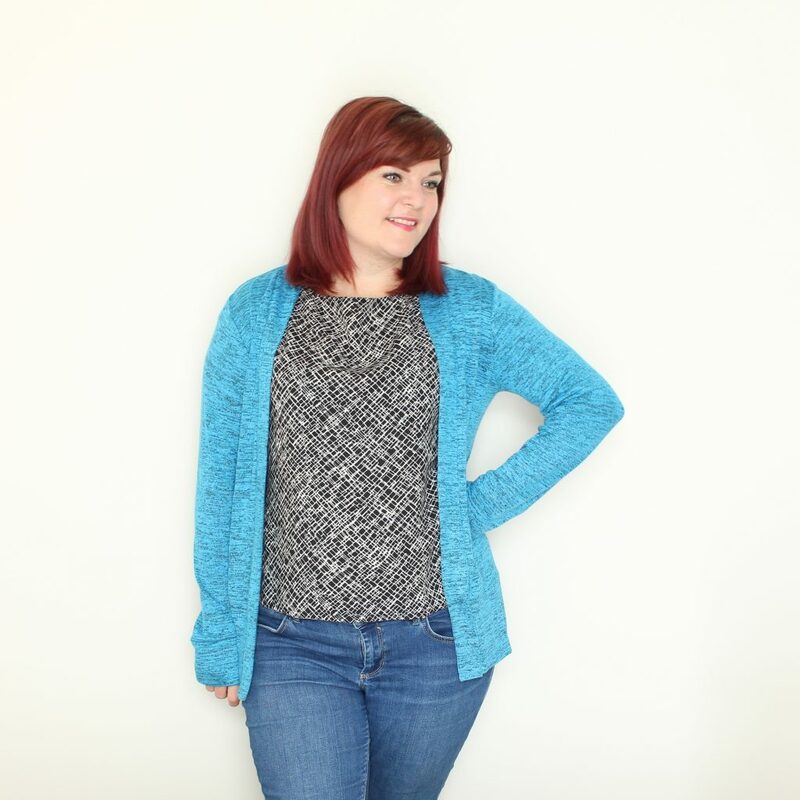 There was a tutorial for turning a top into a waterfall cardigan like this on the Grainline blog so I may give that a go at some point. No Me Made today as I was just bumming around the house. I did get sort of dressed though, if jeans and a PJ top but no bra counts as getting dressed. 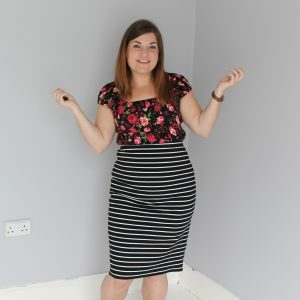 It was the top I’m wearing in this video, which I loved but got food on when I was cooking so it got relegated to sleep wear. 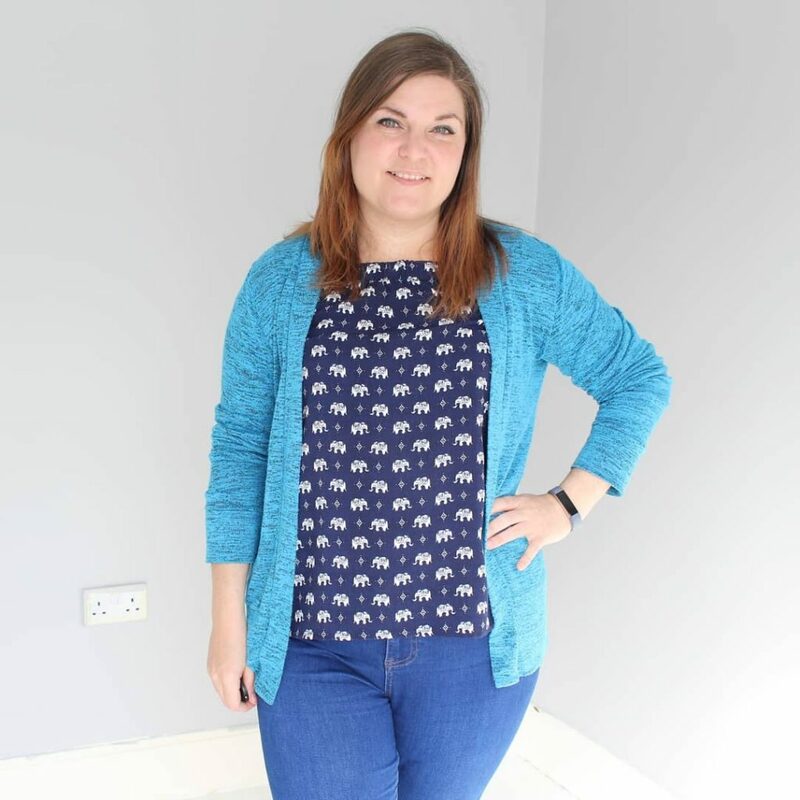 I’ve bought the Hey June Lane raglan pattern to try to recreate this top or I may try making a pattern from it. I’m definitely noticing a gap where knit tops should be. A brand new make. 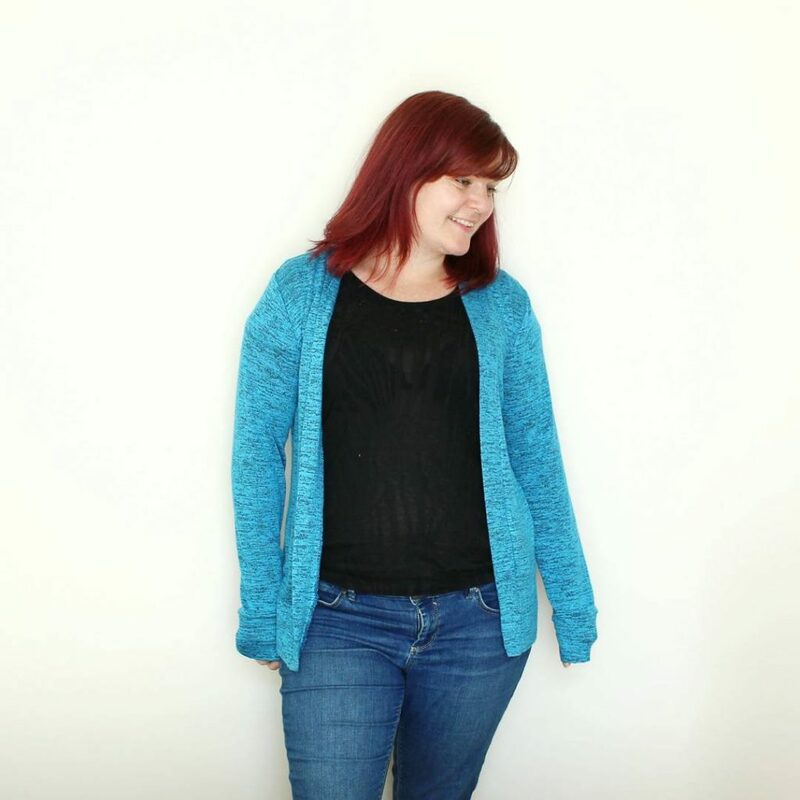 Another Blackwood cardigan that was hot off the sewing machine before I went out. I think it took me about 1.5-2 hours to make, which is pretty speedy for me. I was just popping to my mums house so I’ve got no make-up on and I’m trying to avoid showing too much of my face to the camera. Another outing for my new cardigan. It doesn’t really work with this dress, the length is a bit wrong but the colour brightens it up. I did put my belt over the top instead during the day and I think that looked better. My waist is just a bit lost otherwise. I think I’m going to play about with a cropped version of the Blackwood. 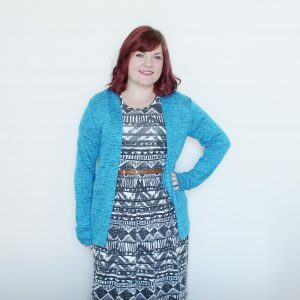 Though I do have the Muse patterns Jenna cardigan so I could use that but I like how the Blackwood is designed to be open. It was really sunny and warm here for a few days so I busted out the maxi dresses. This is an oldie but a goodie. I think it’s only the 4th thing I made. It’s looking a bit tatty inside but I still love it. 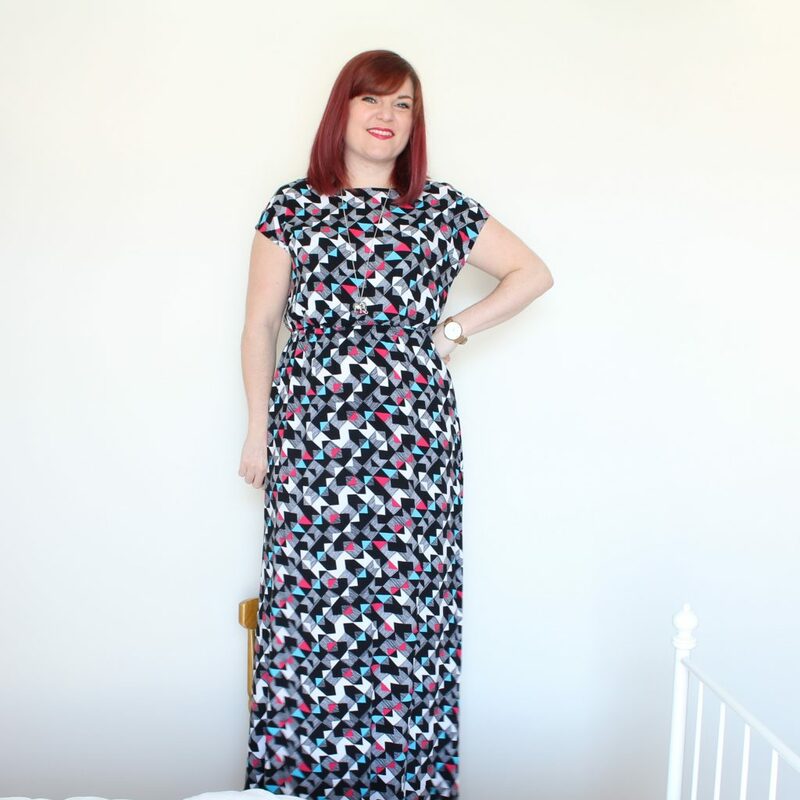 And another maxi dress. 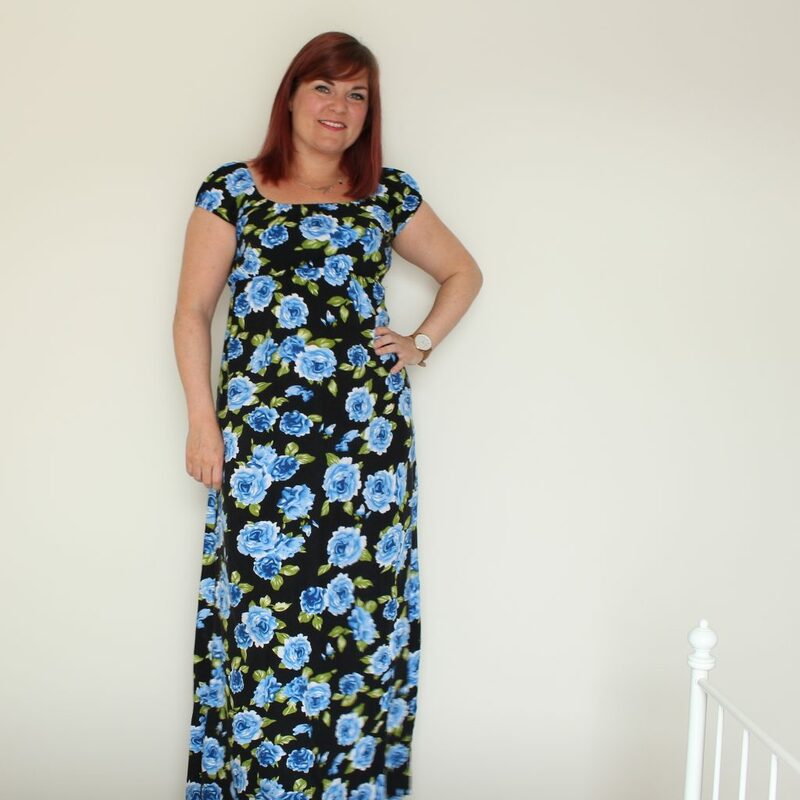 I just love swishing about in viscose maxis when it’s warm, there’s just something about the cool fabric floating around your legs. This is my second outing for my Alex shirt dress. I wore it with a tan belt the first time and I think I prefer it that way but I thought I should try the self fabric tie as I’d made it. I definitely see more of these in my future – I still want to make the purple viscose one I said I was going to make in my #2017MakeNine plans, this was a wearable toile really. Another Friday, woot! 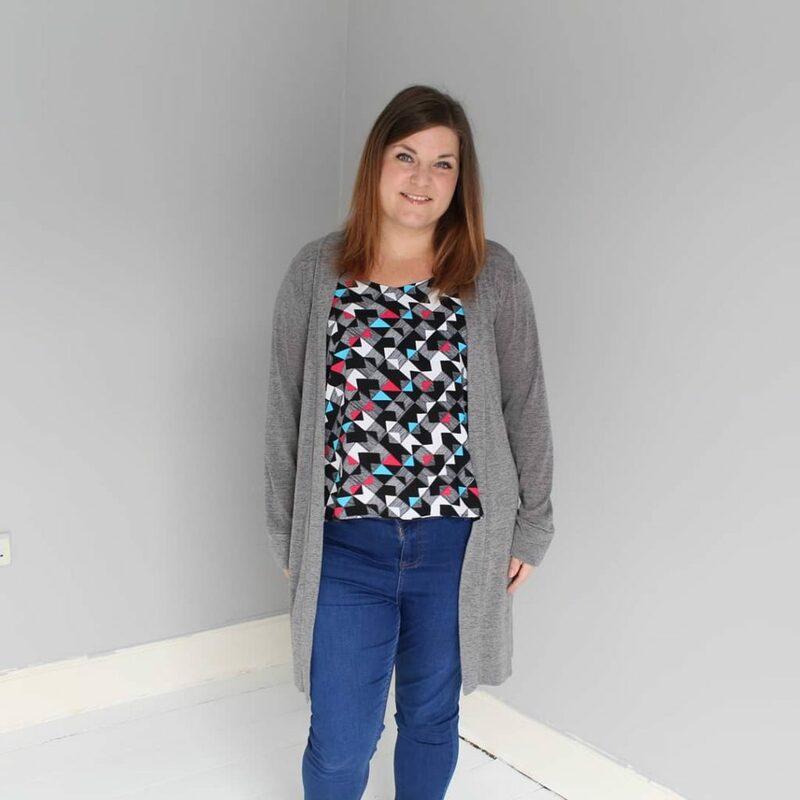 My old fail safe combination of jeans, woven tee and cardigan. And again, with exactly the same patterns. I added a new necklace that came in the post after I took this photo, I need to work more on accessorising better. And we’re through to today and it’s another one where I don’t plan to get dressed. 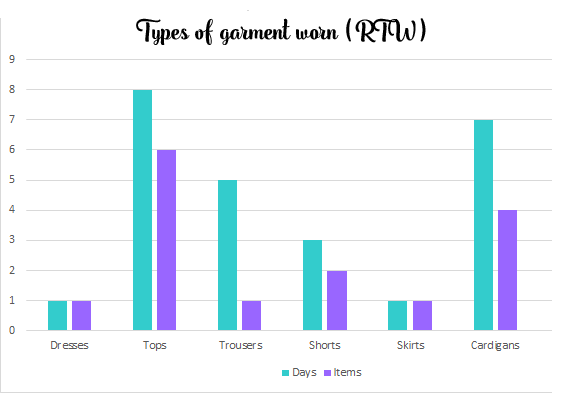 As soon as I finish this blog post I’m planning to shut myself in the sewing room and get some last minute holiday sewing done. I have four projects cut out, with two of them in progress. Navy is a better neutral than black for me. 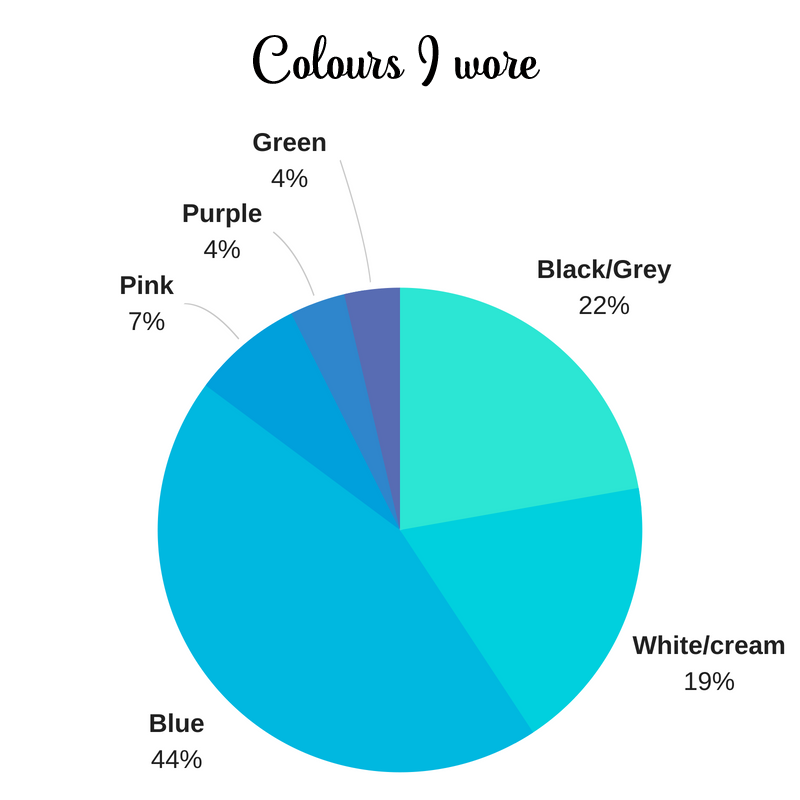 There are other colours than blue and I should use them. 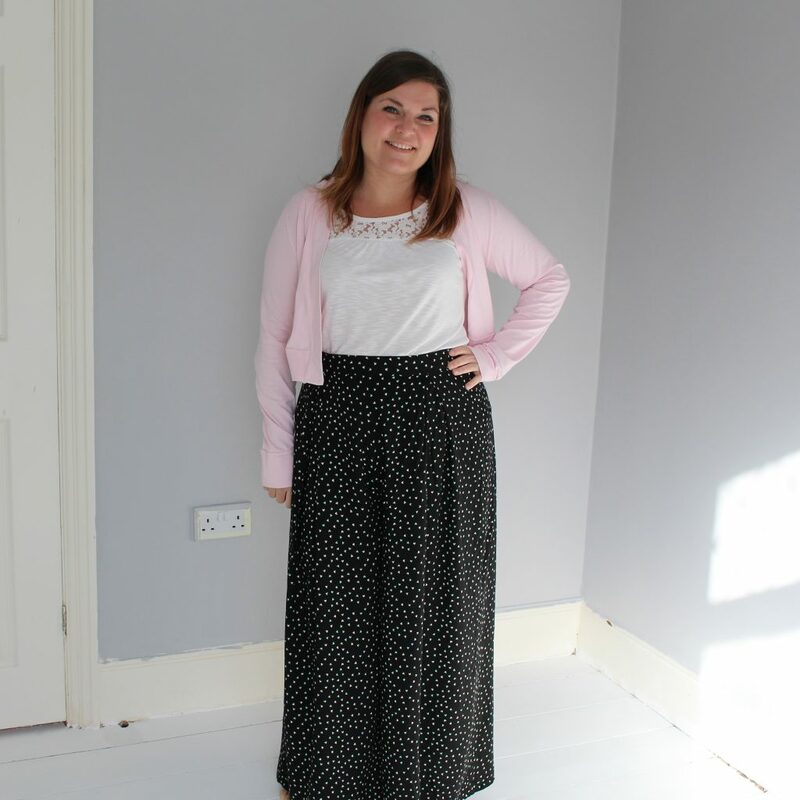 I’ve only made woven skirts and I never wear them, maybe make some knit ones? 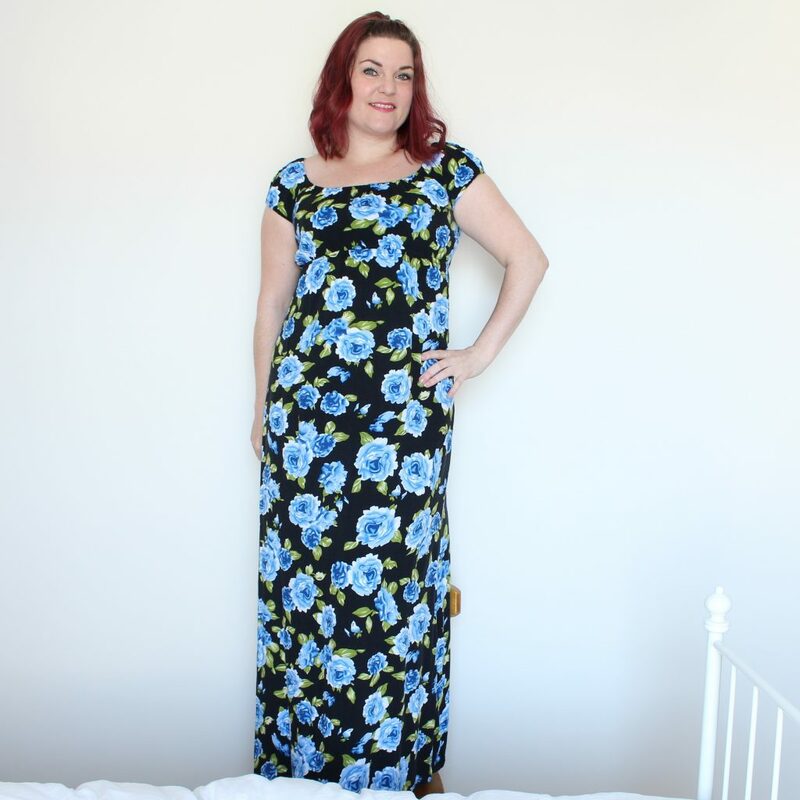 I only like zipless dresses (and I’ve added the tag “zipless dress” to my blog posts about dresses that don’t have zips in case you feel the same). If you don’t get up on time, taking photos *will* make you late for work. This will make you leave the house at the same time as people are dropping their kids off at the school at the end of the road and you will want to kill some people. Especially the person who parks across your back lane. That’s it from me. Hope you’re all enjoying Me Made May and learning lots about your handmade wardrobe. Have a great day peeps and I’ll see you again at the finish line. 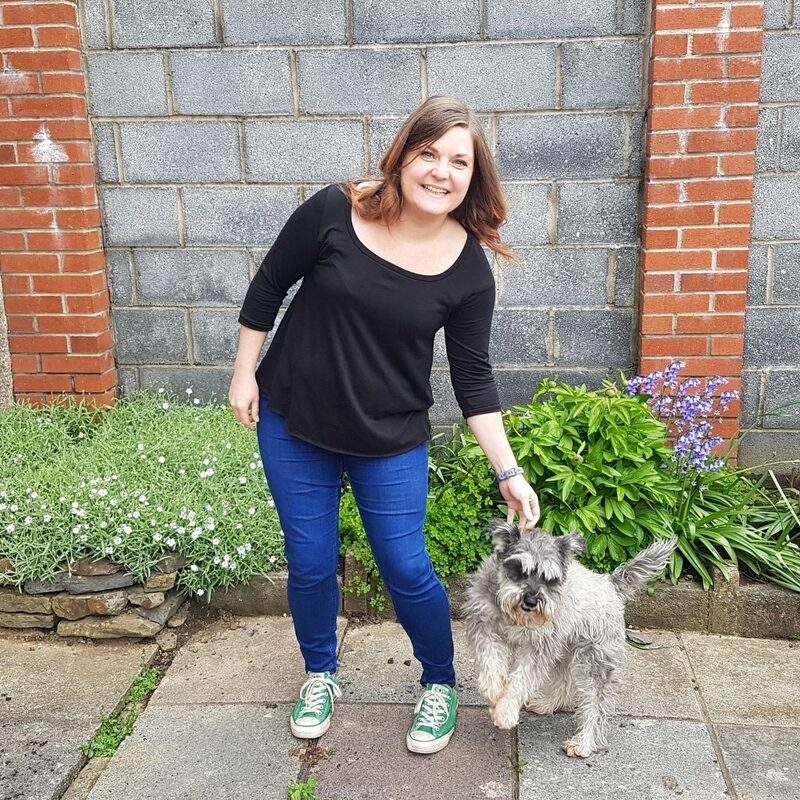 April seems to be sneaking away rather rapidly, which means it’s time to think about a Me Made May and my pledge for this year. If you don’t know what Me Made May is, its inventor Zoe, of So Zo, What Do You Know explains it best over in her sign-up post. But basically it’s a challenge to wear your handmade clothes more but what you actually pledge is entirely up to you. 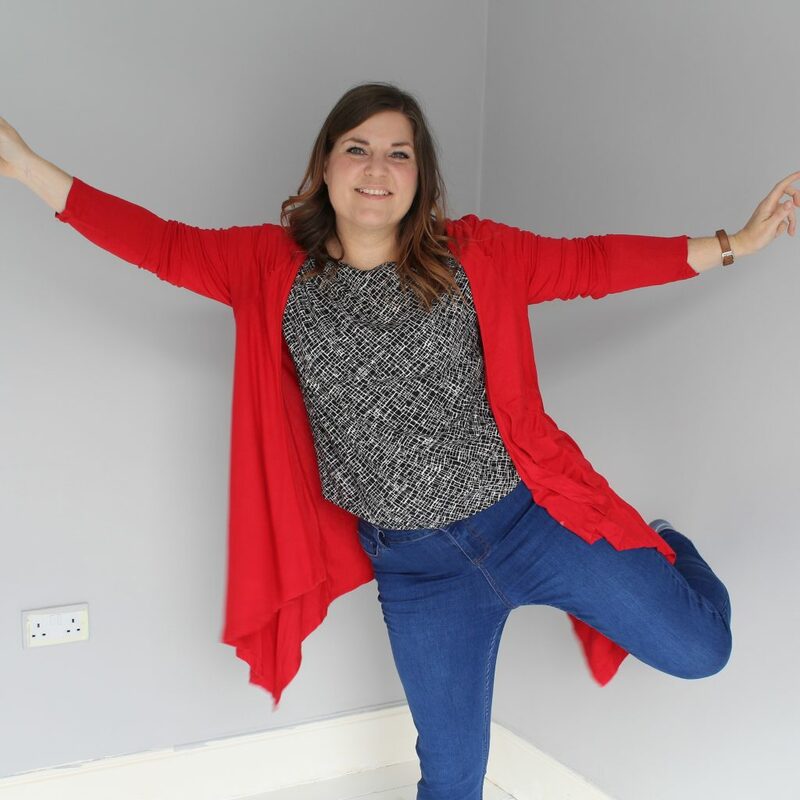 Zoe has some great examples of pledges you could make in the sign up post. 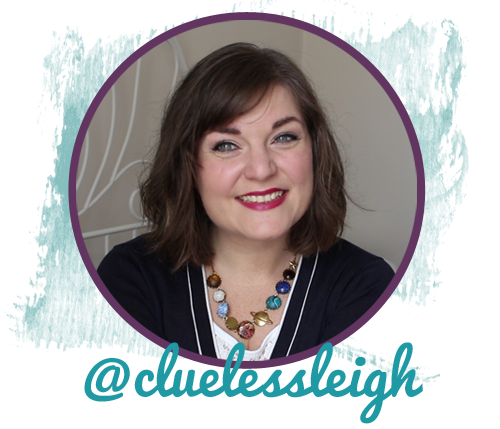 I, Leigh (aka @cluelessleigh) of Clueless Seamstress, sign up as a participant of Me-Made-May ’17. I will endeavour to wear at least 1 handmade item every day I leave the house for the duration of May 2017. I’m definitely not going to limit repeats but I would like to work on trying to style things to look different. 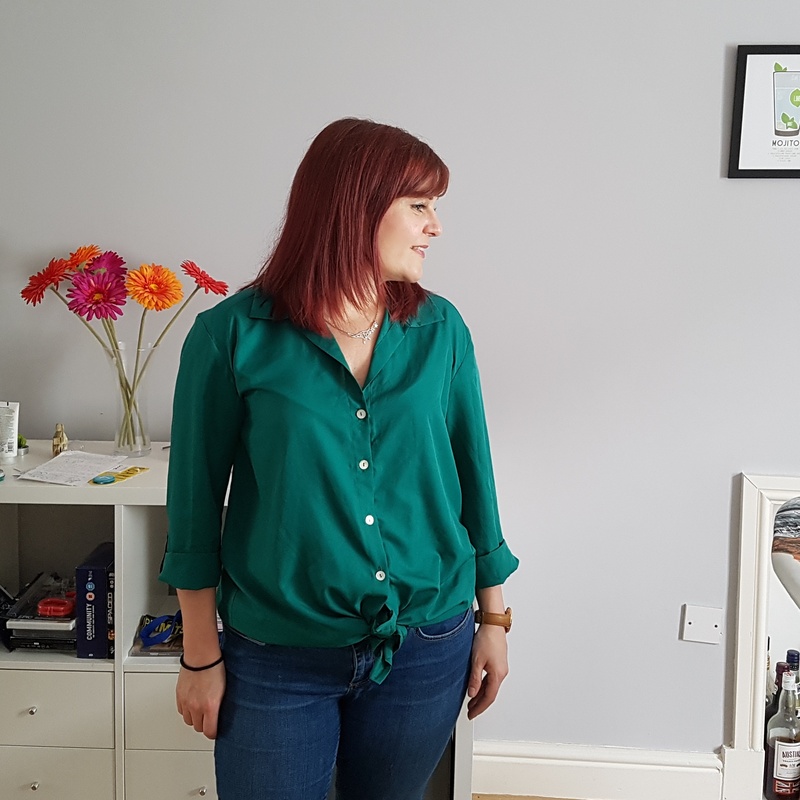 Elena from Randomly Happy and Suzanna from Sea Salt and Stitches both recently took part in a 10×10 capsule wardrobe challenge thingamajig – you have 10 items to create 10 outfits for 10 days – and I really enjoyed seeing how they mixed and matched them to create different outfits. So I want to try to be a bit more inventive with my wardrobe. Even though I’m not usually very good at that. 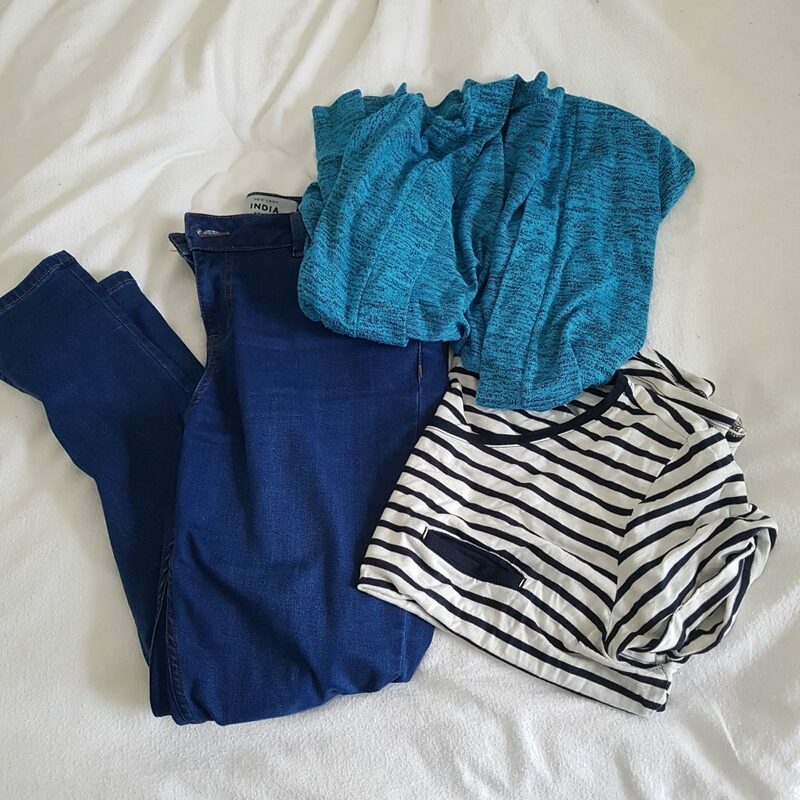 I’ll be sharing my outfits on instagram and in round-up posts here. 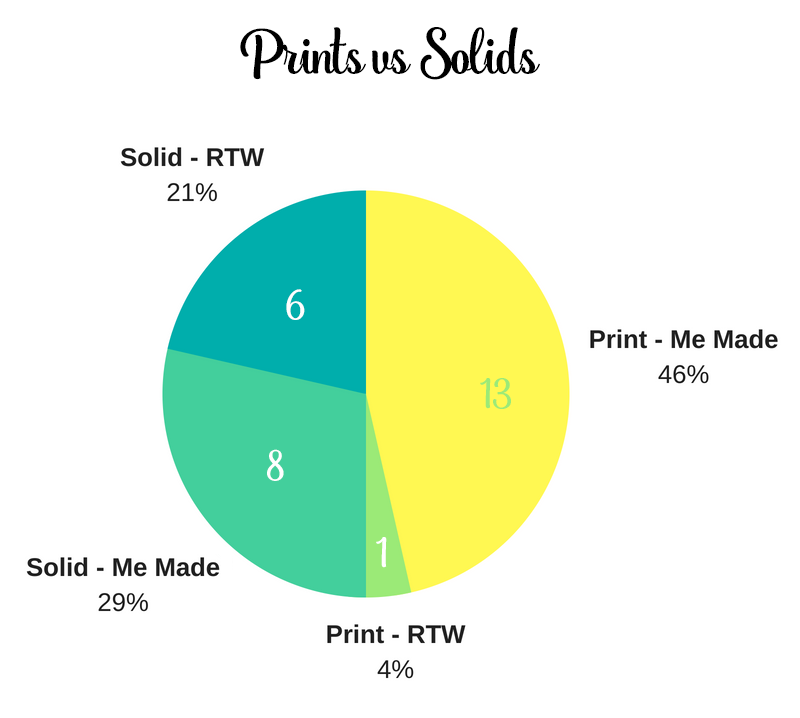 I haven’t decided on whether I’ll do weekly or fortnightly posts yet. Do you have a preference? Another challenging aspect is that I’m going on holiday at the end of the month. 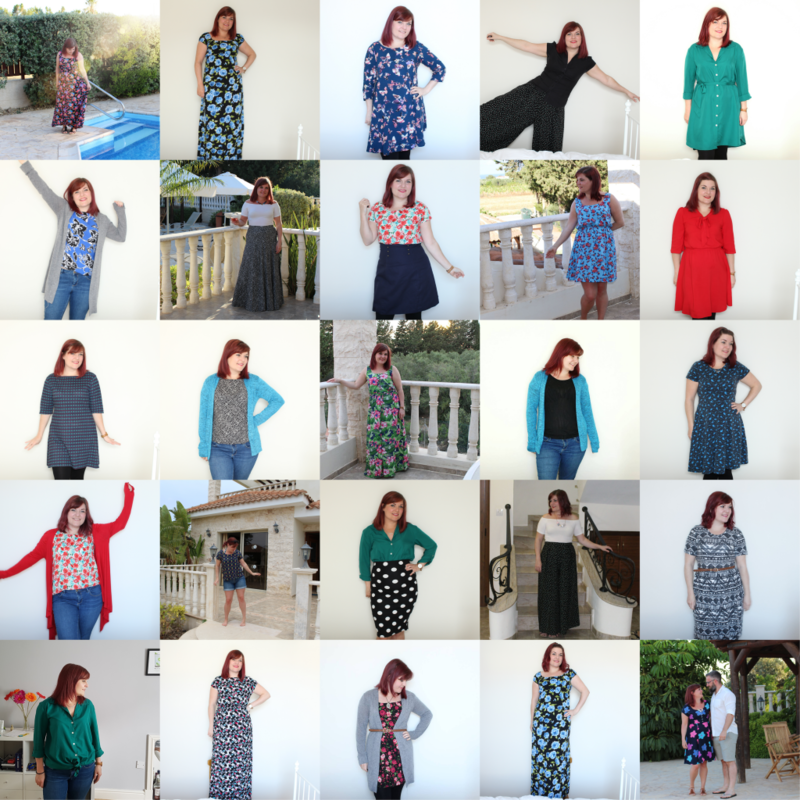 I had grand plans to make an entirely handmade holiday wardrobe but I’m running out of time. 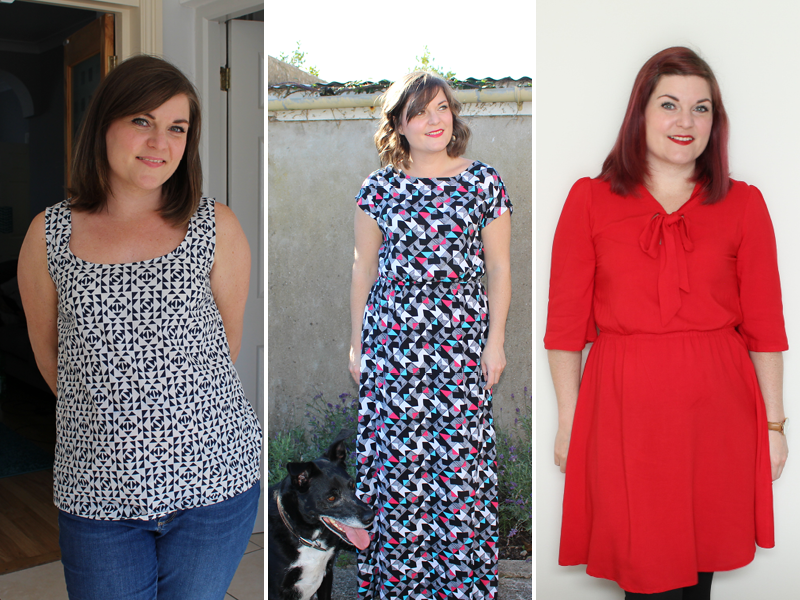 I’m still hoping to sew a couple of maxi dresses and light cardigans though. Fingers crossed. I know panic-sewing isn’t the aim of Me Made May but I’d be doing the holiday panic-sewing anyway. Anyway, that’s my pledge, I’m waffling a bit now so I’ll shut up. 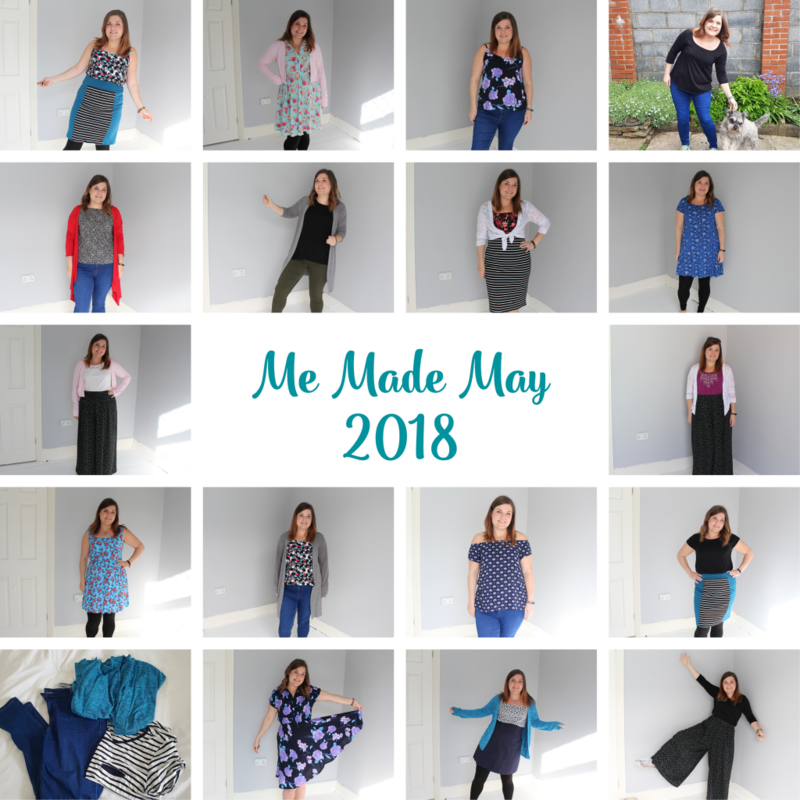 Are you taking part in Me Made May? Are you as nervous of your pledge as I am?